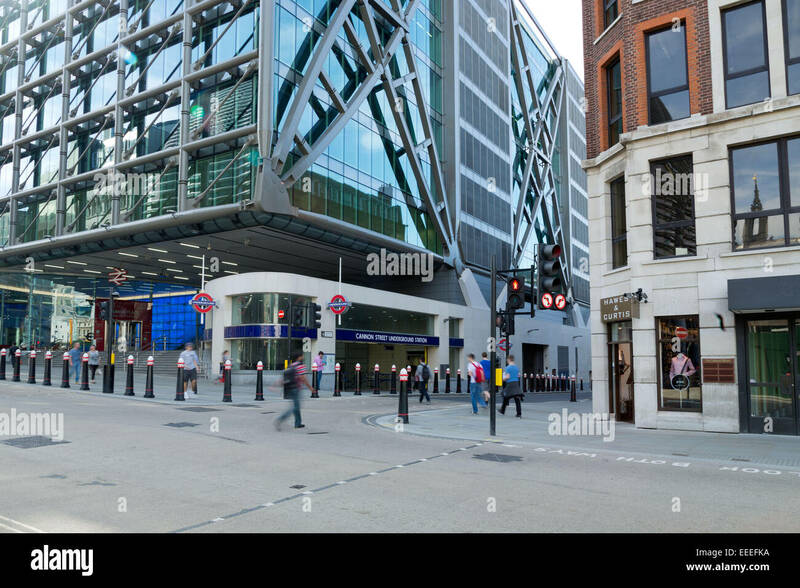 Waste disposal site next to Cannon Street Station, London. 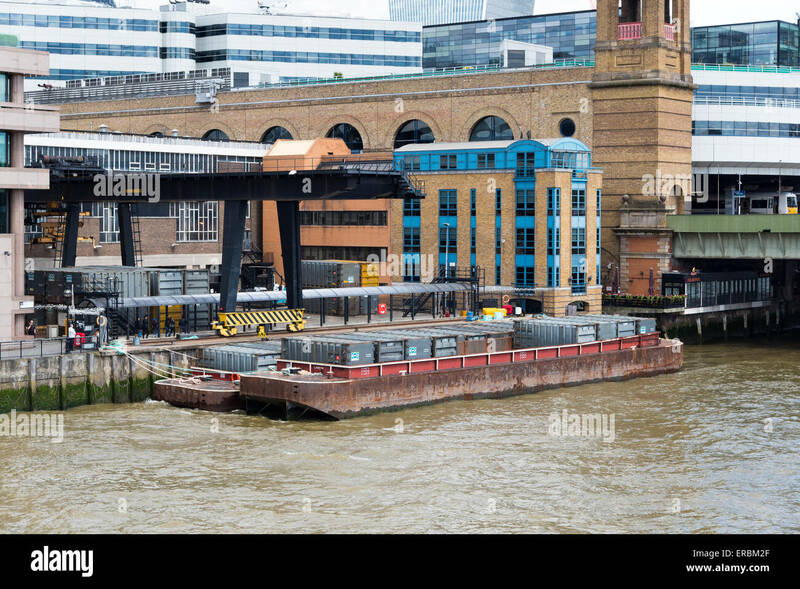 Waste is loaded onto barges for transport down the Thames. 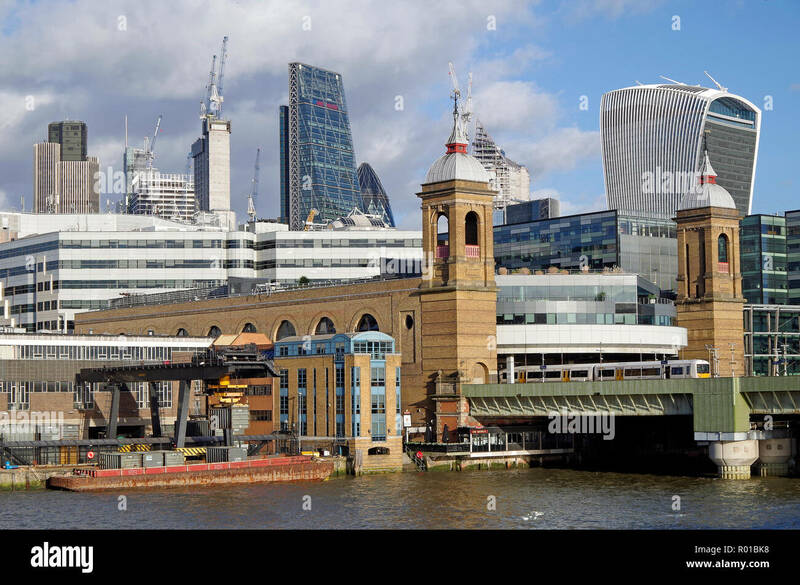 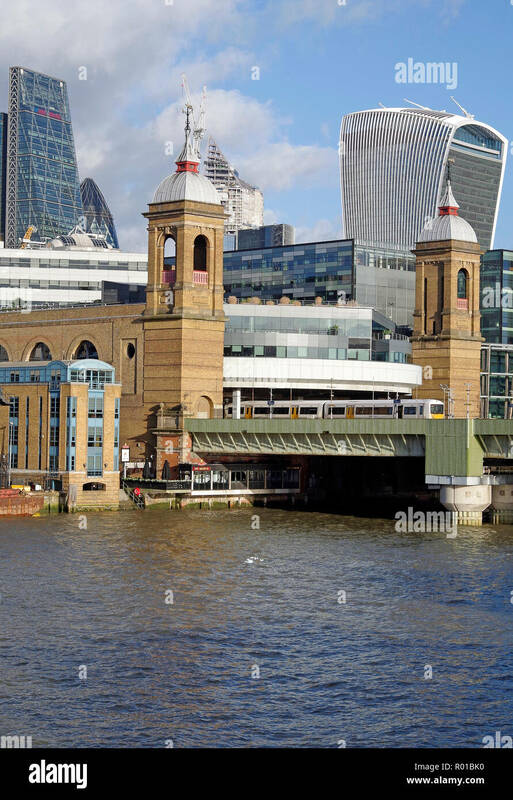 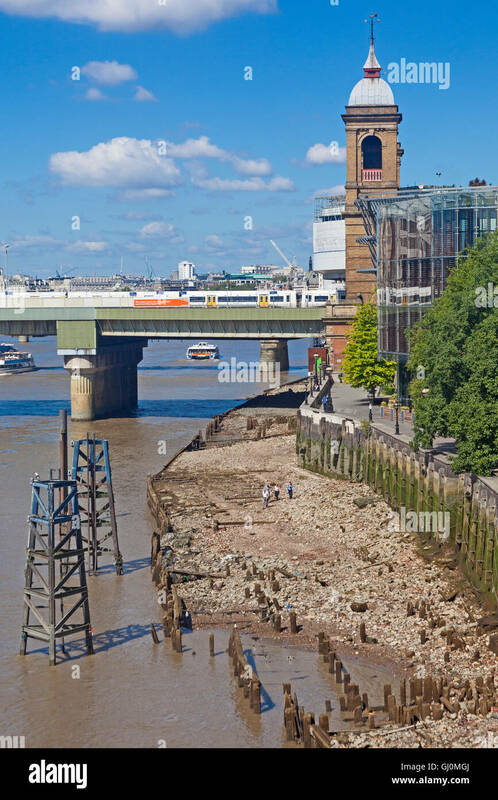 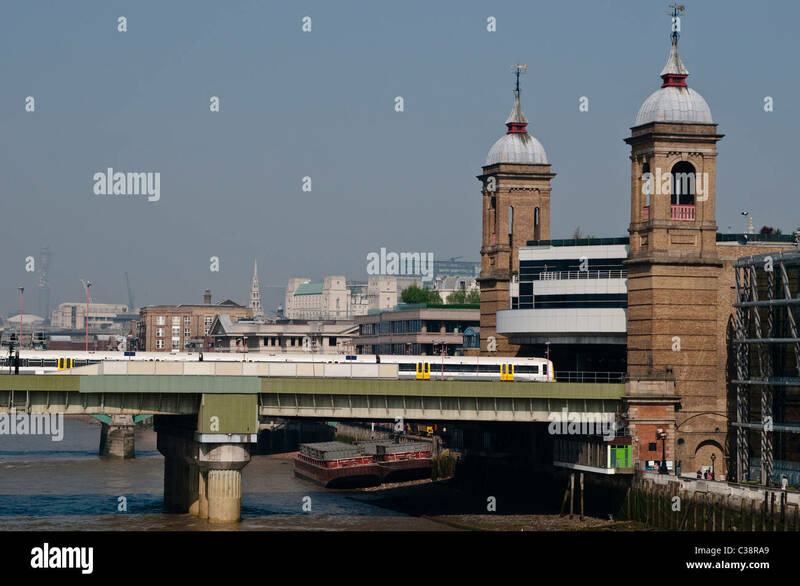 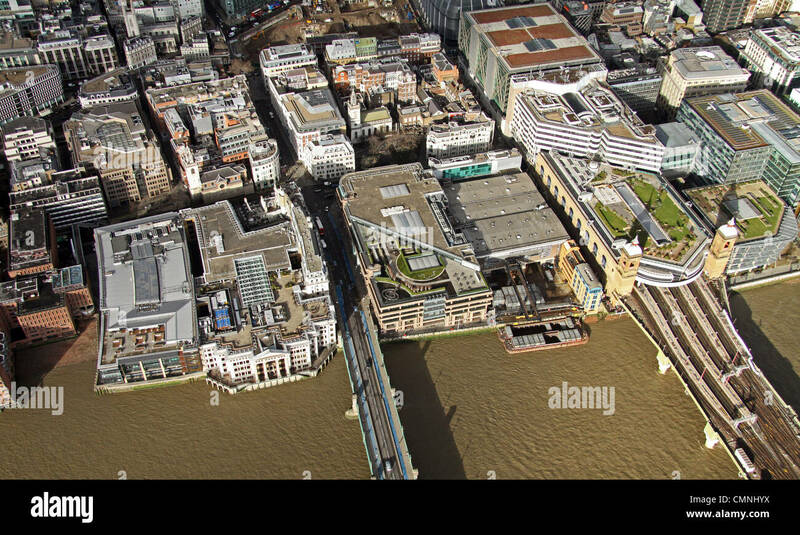 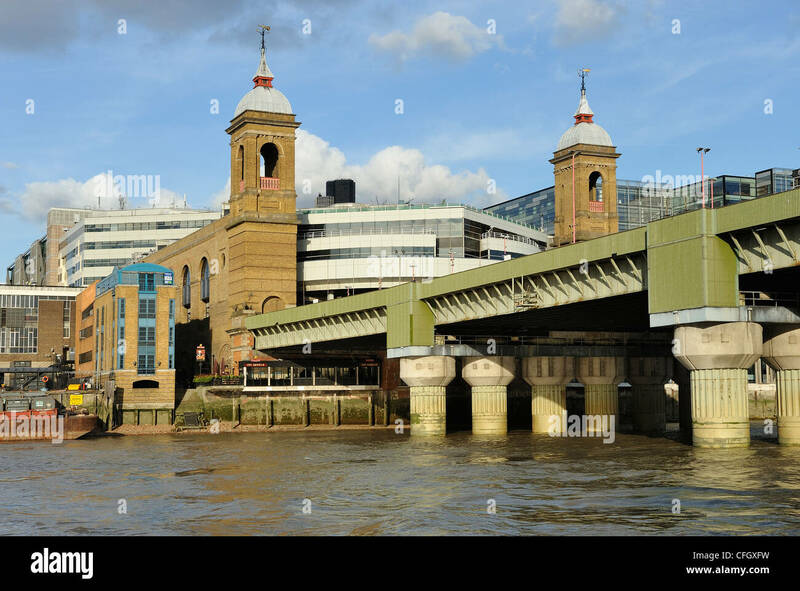 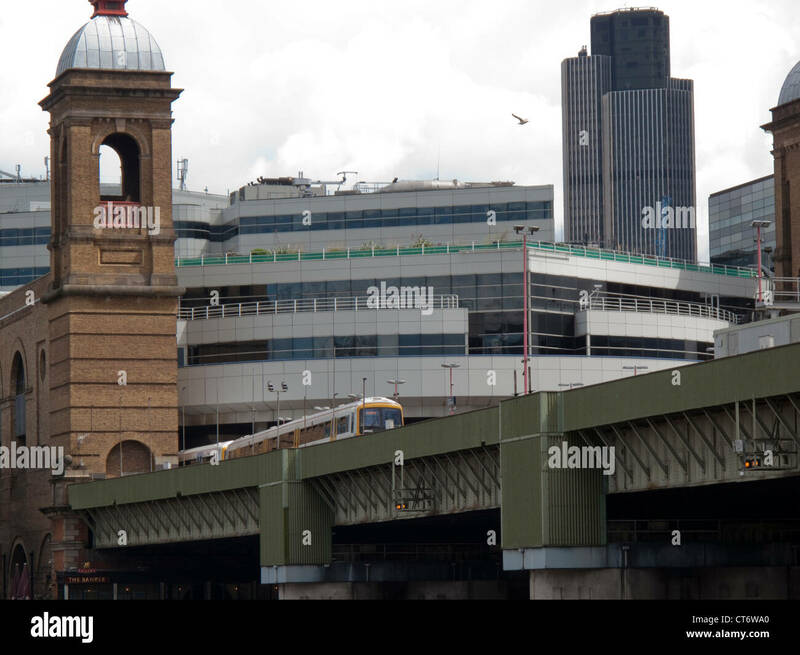 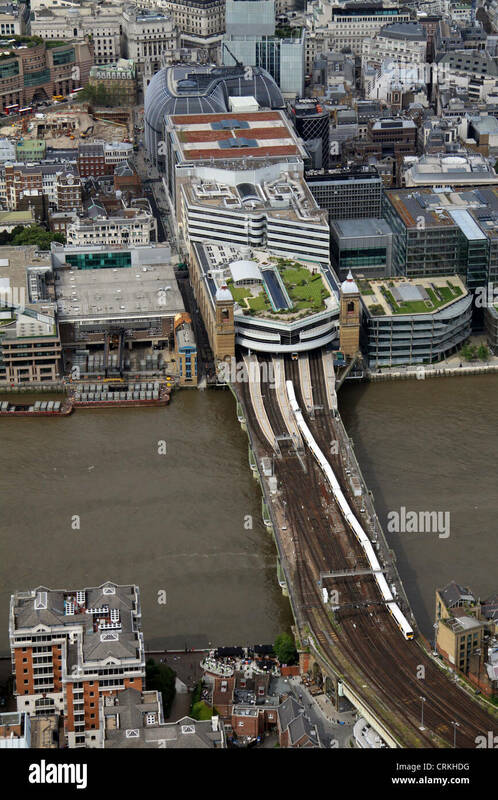 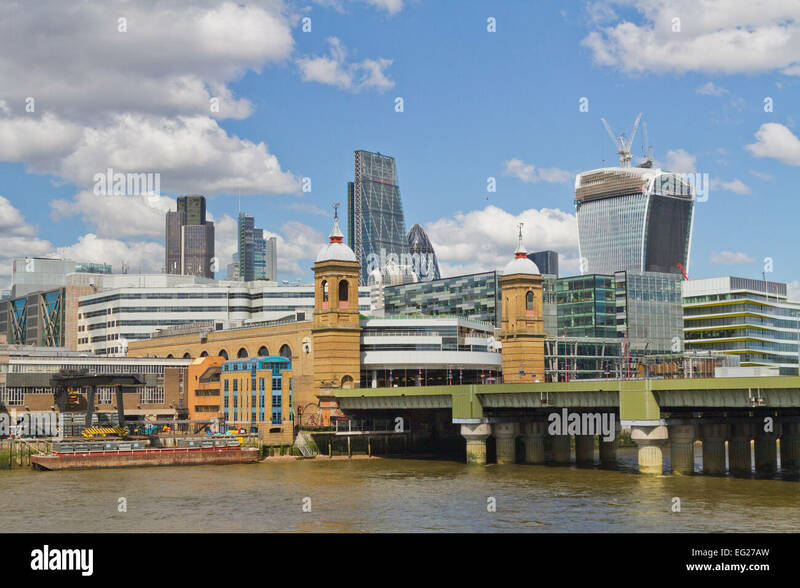 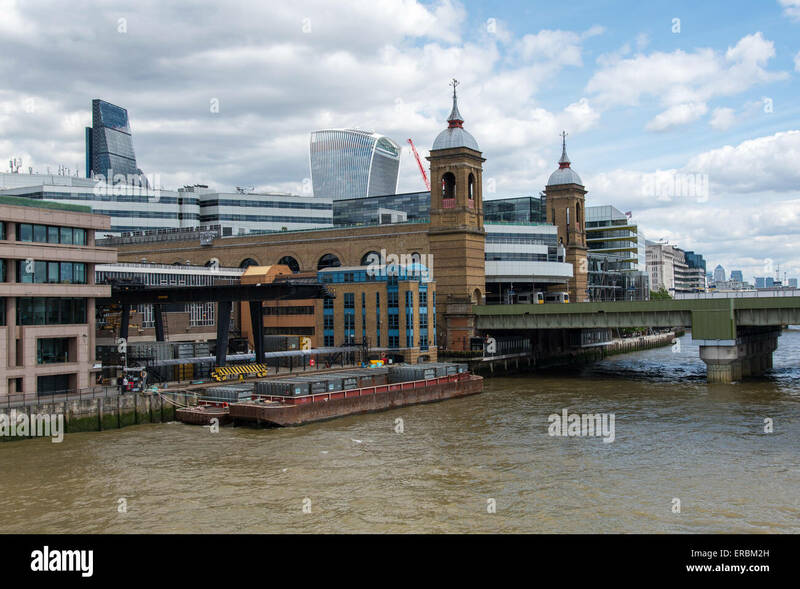 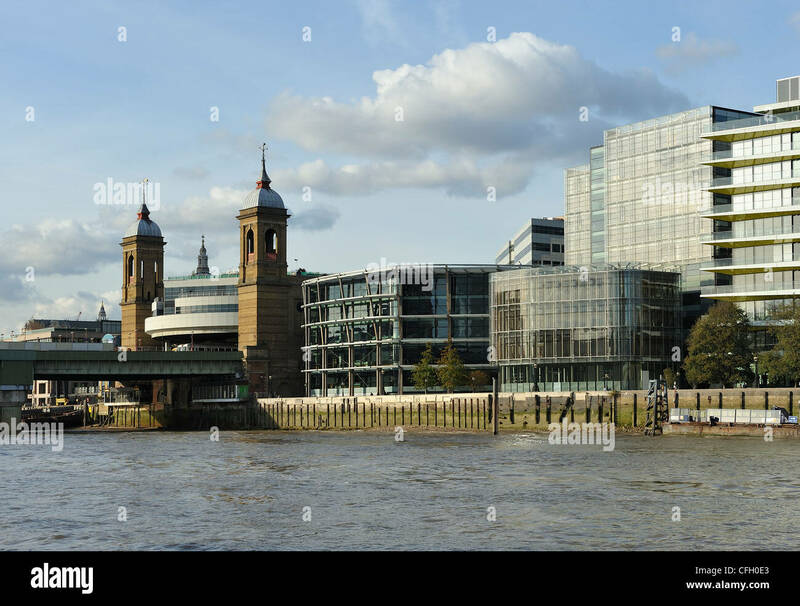 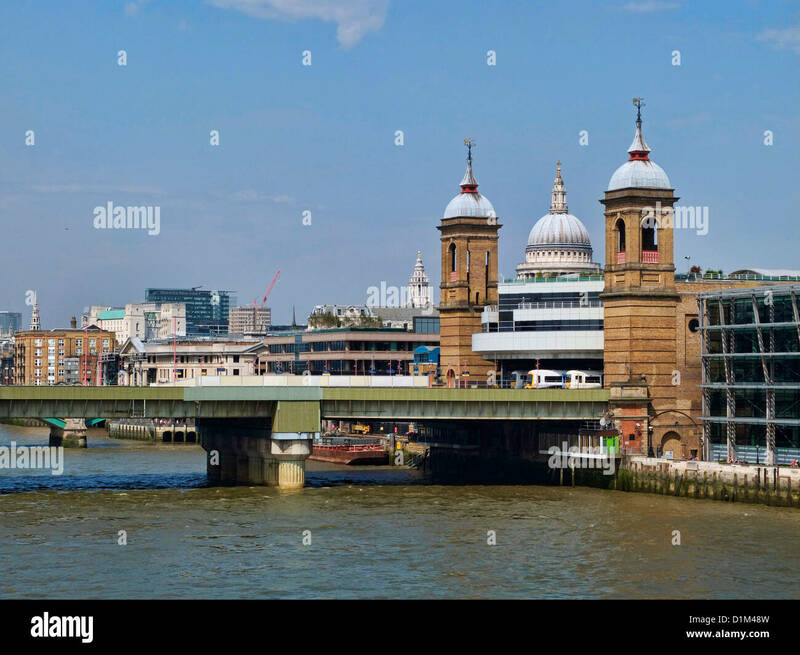 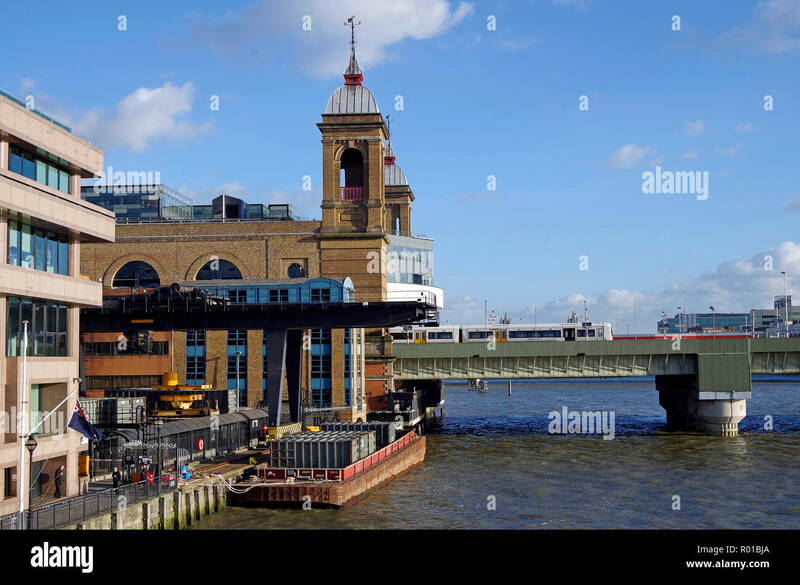 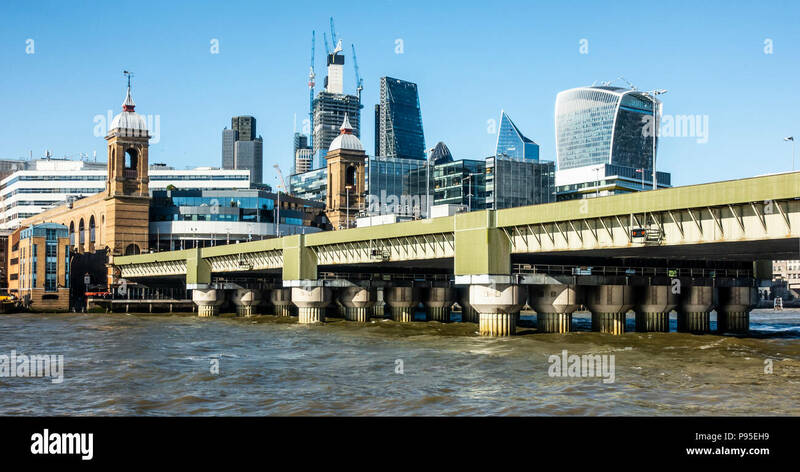 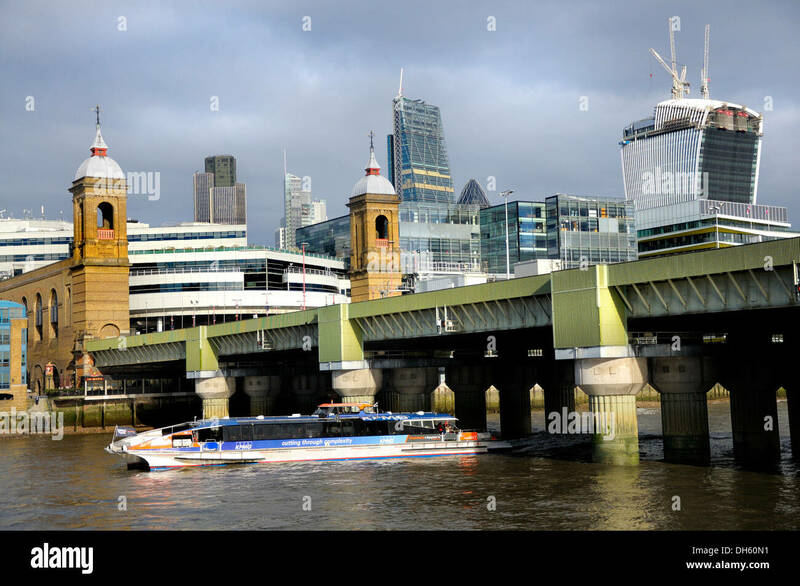 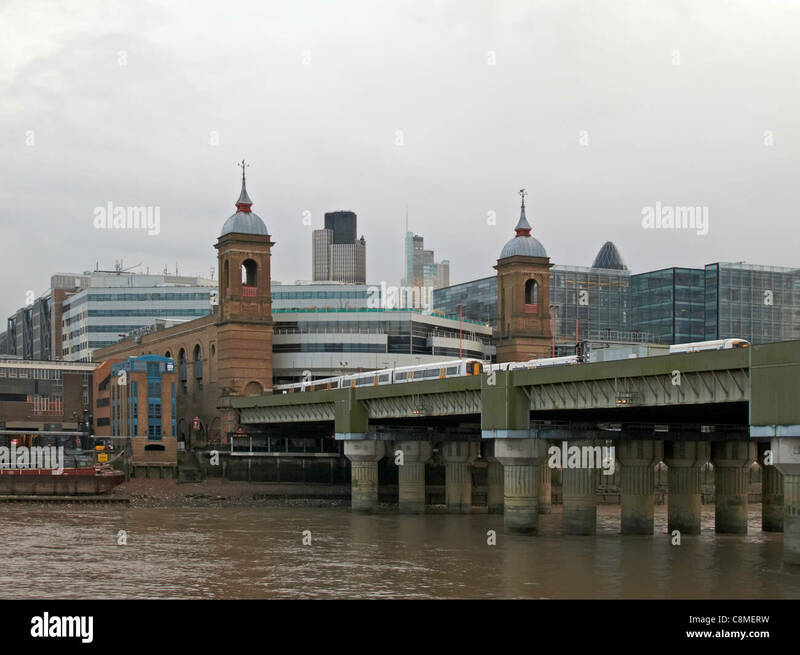 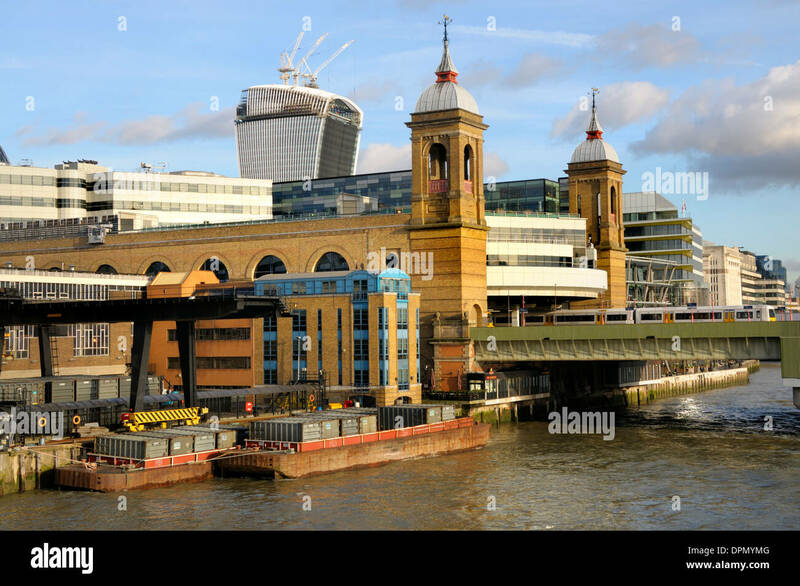 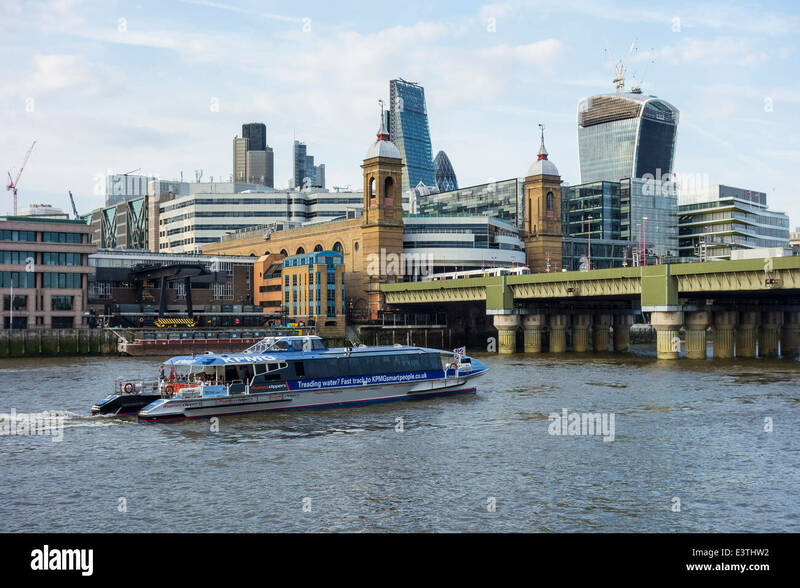 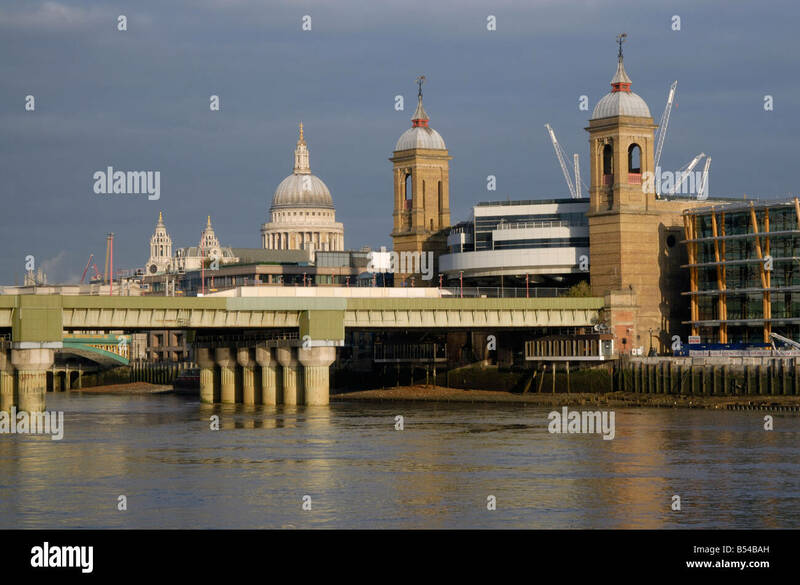 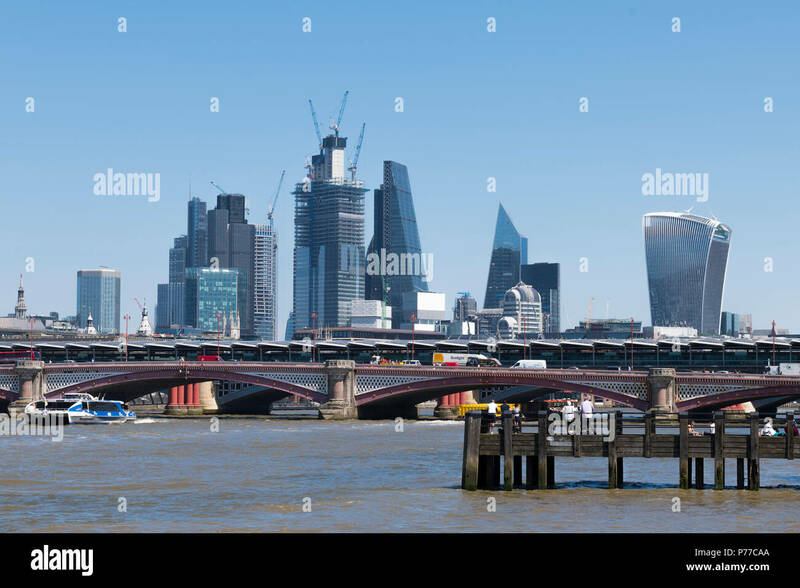 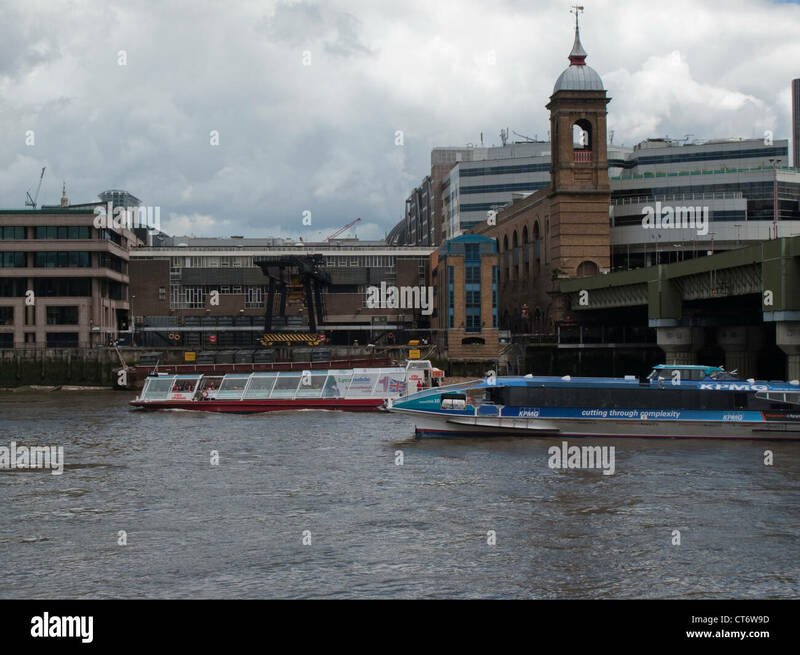 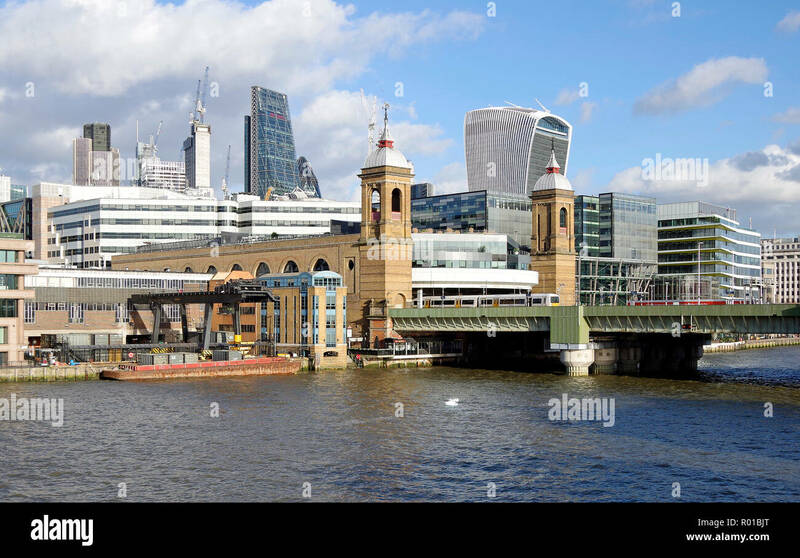 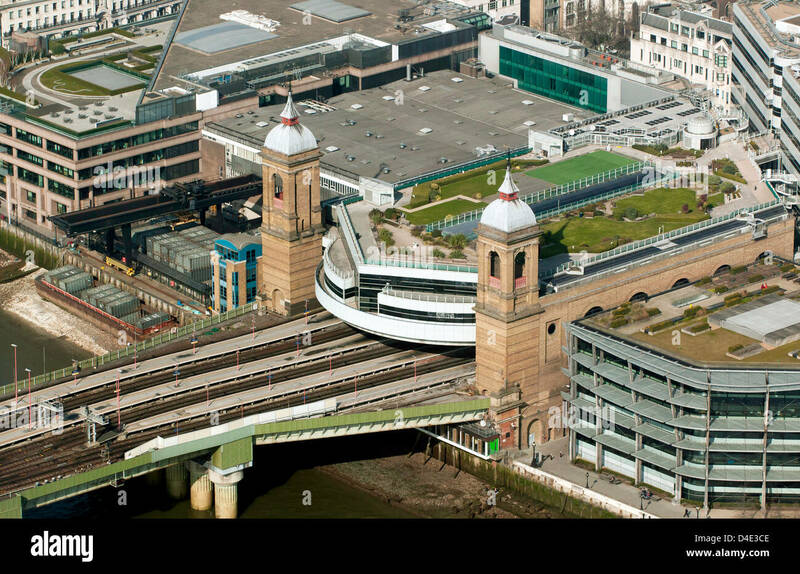 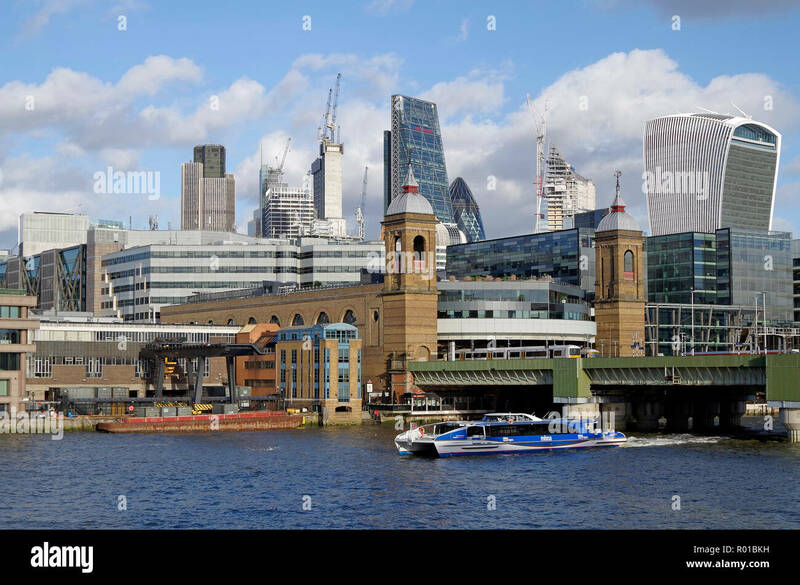 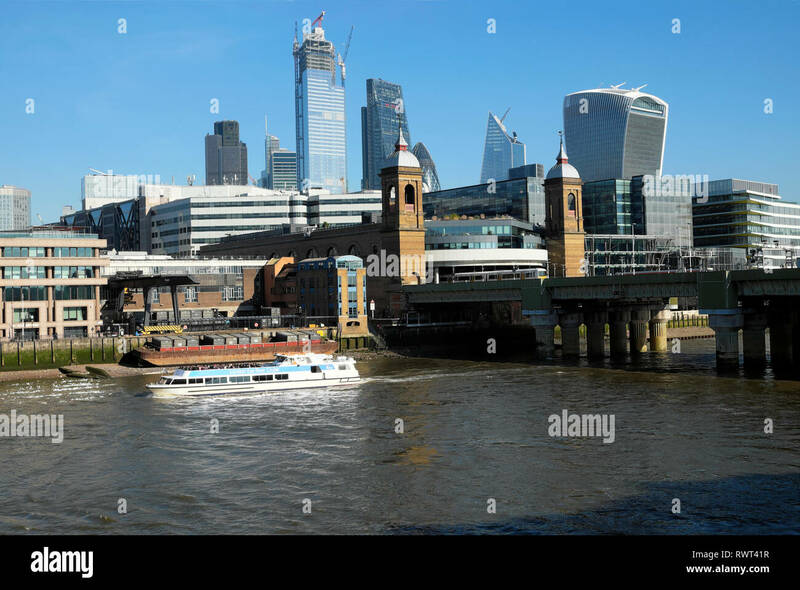 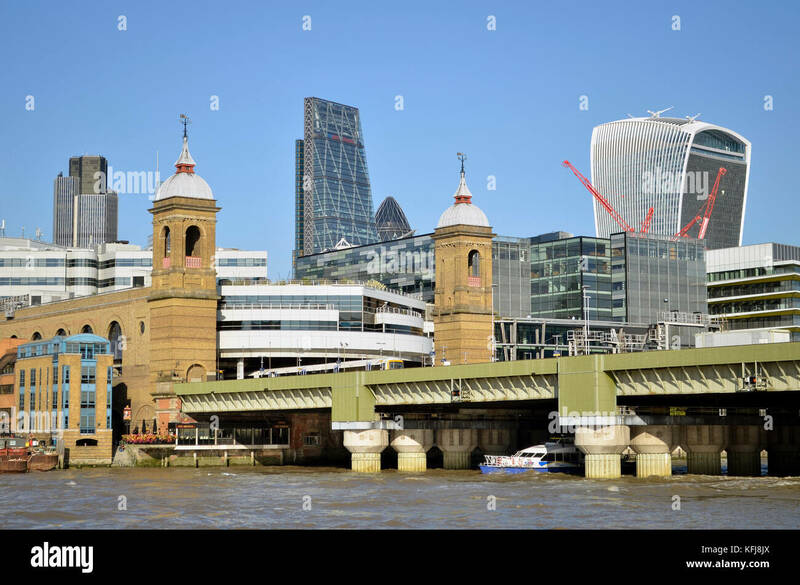 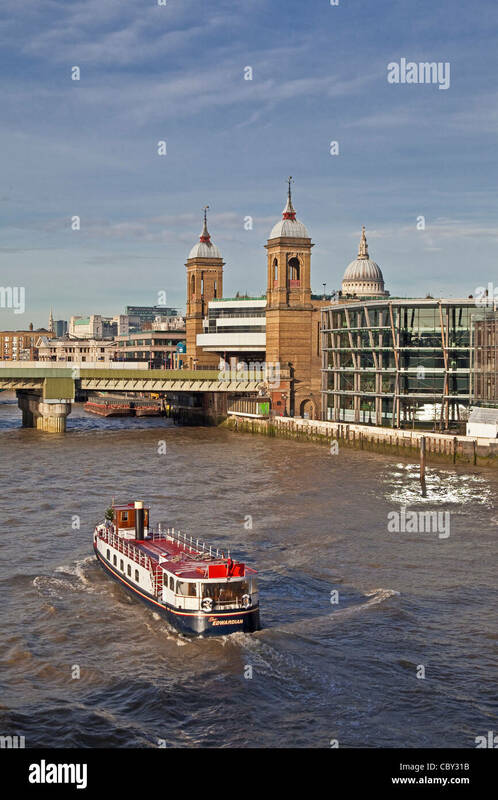 Cannon Street Station and Railway Bridge seen across the River Thames, London, UK. 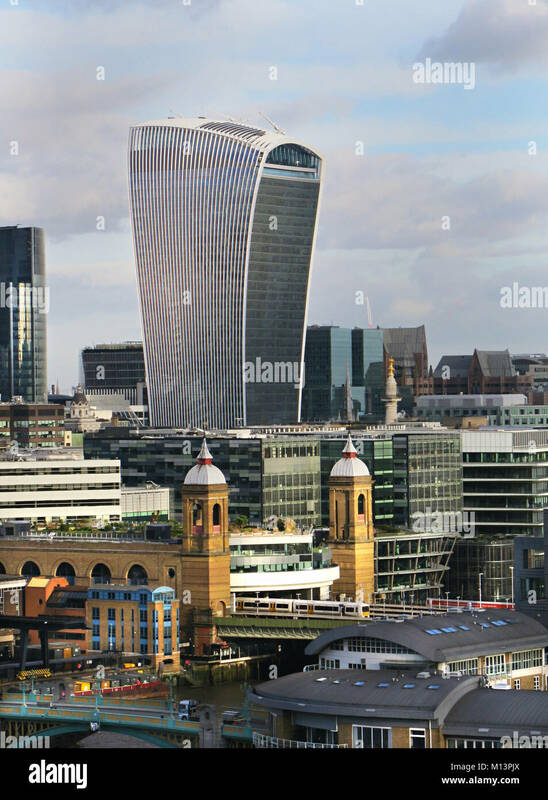 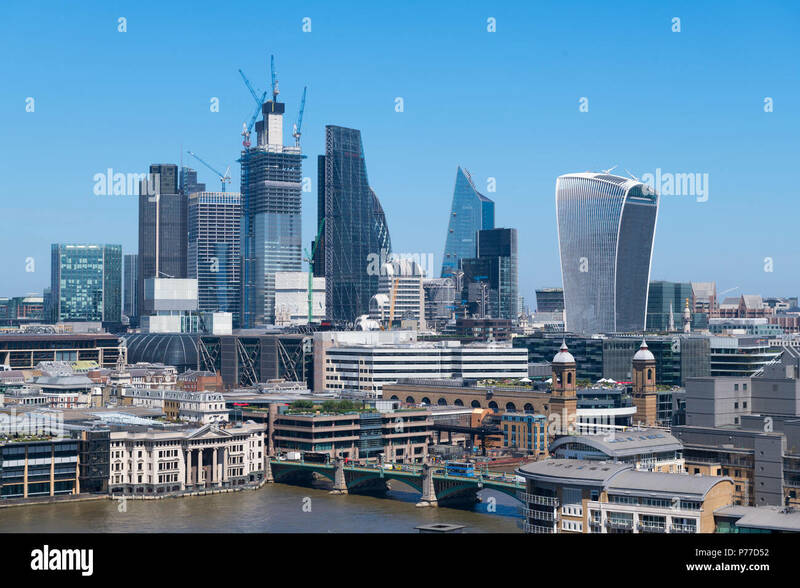 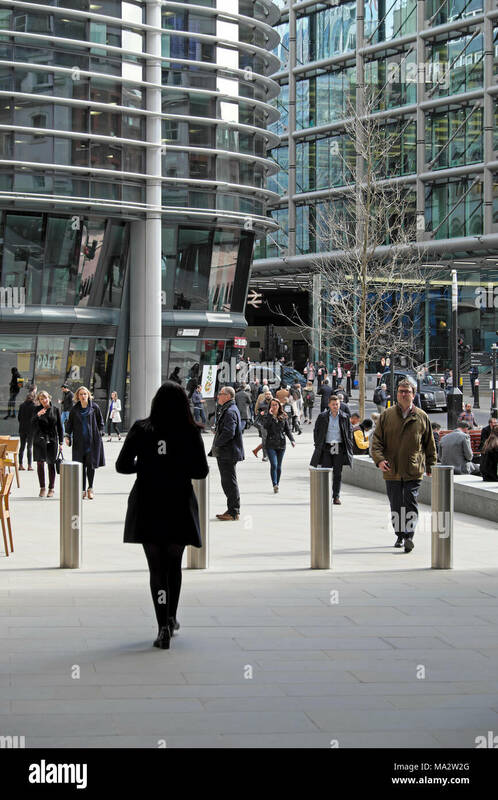 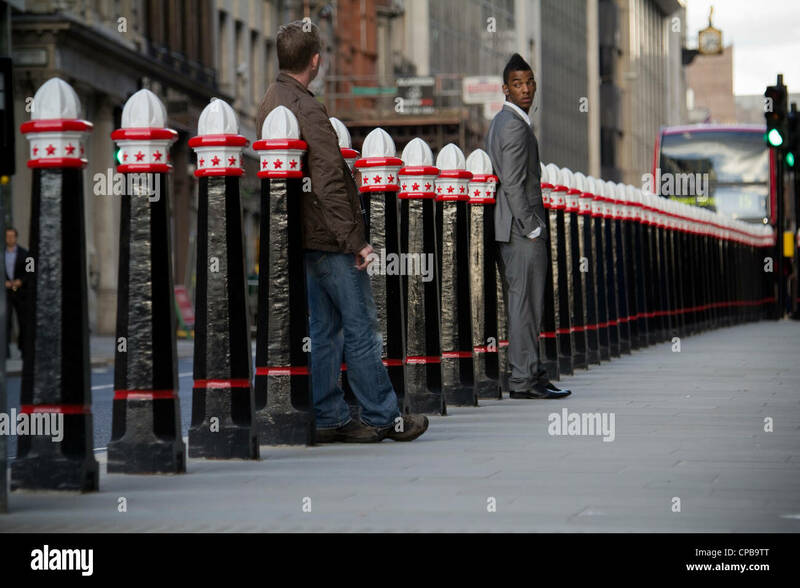 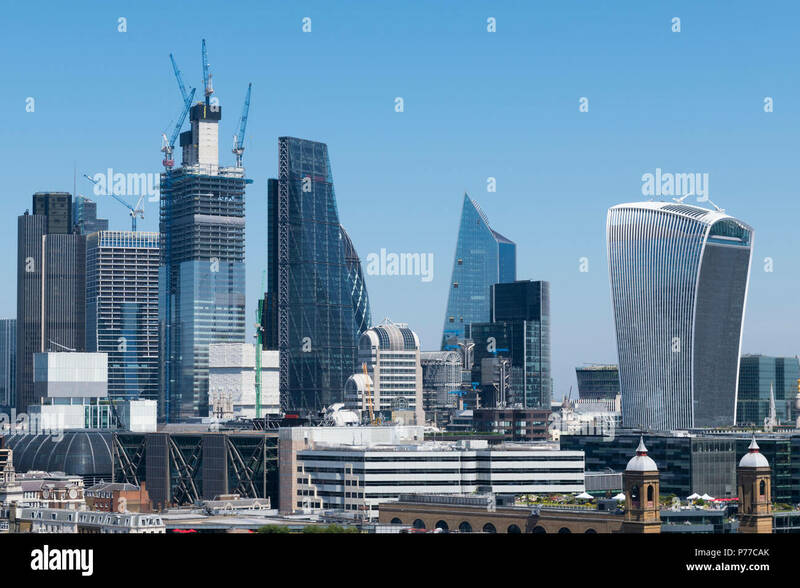 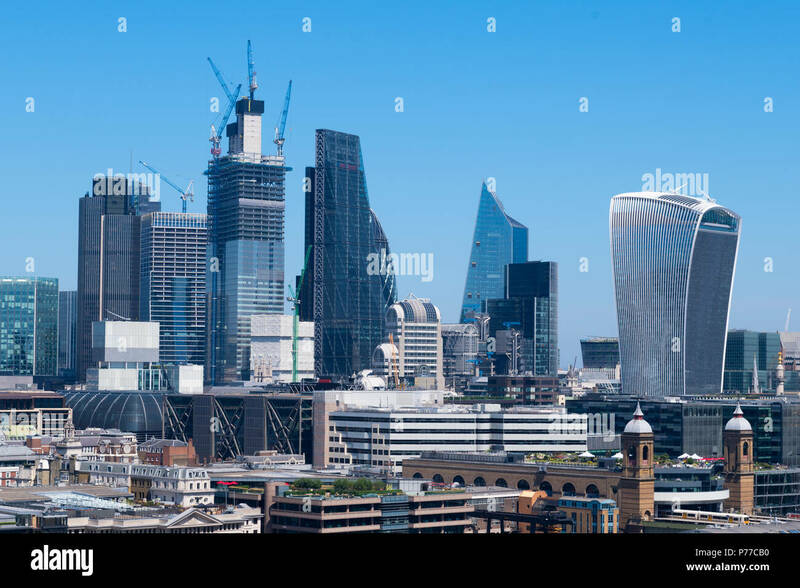 Tower 42, The Leadenhall Building, and 20 Fenchurch Street behind. 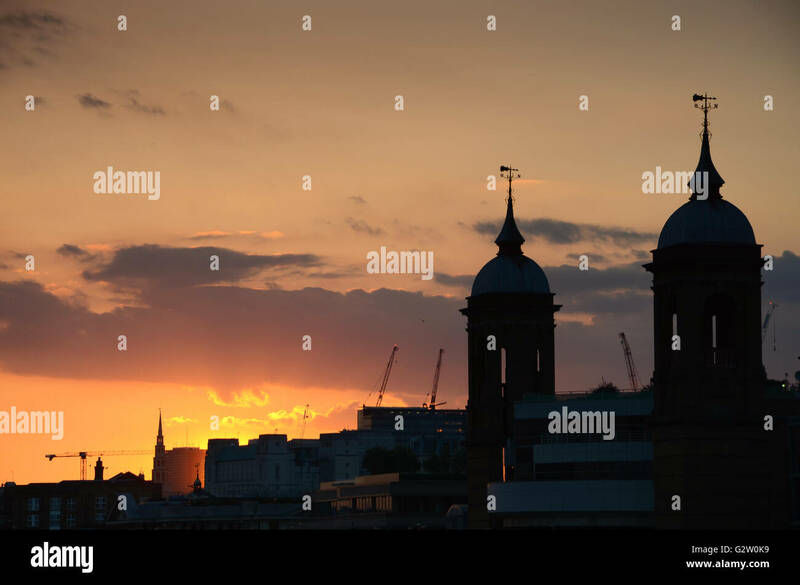 Cannon Street Station Spires, London, at sunset. 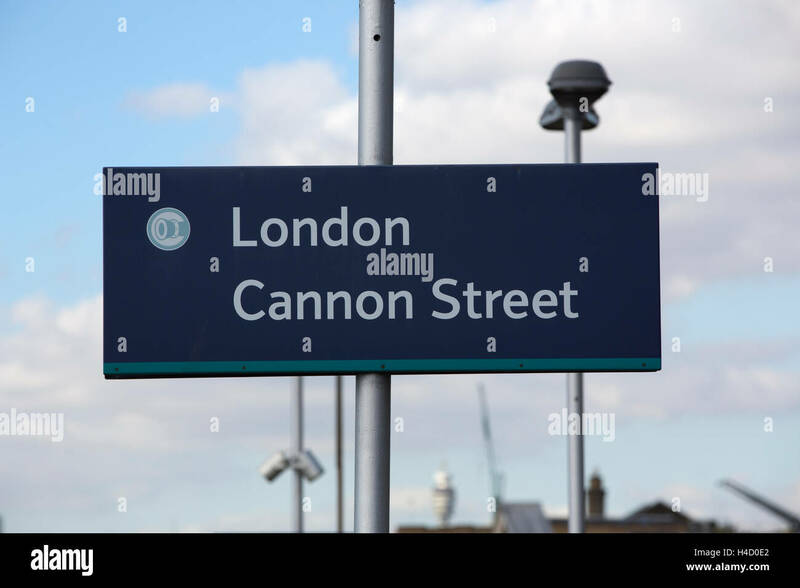 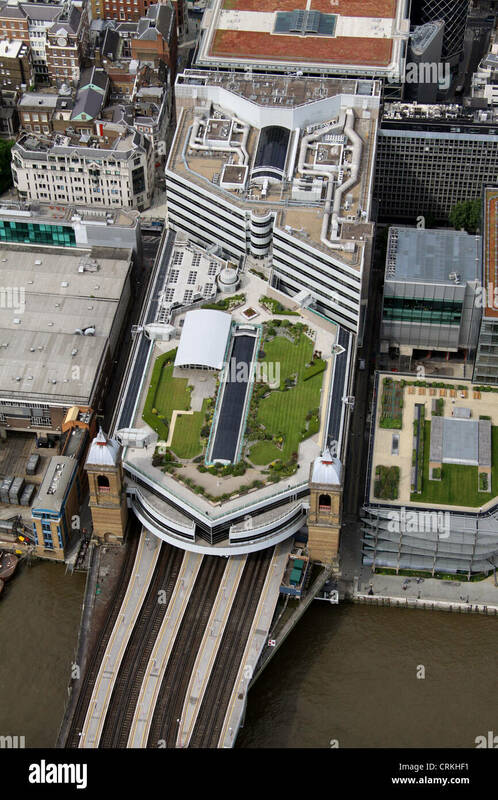 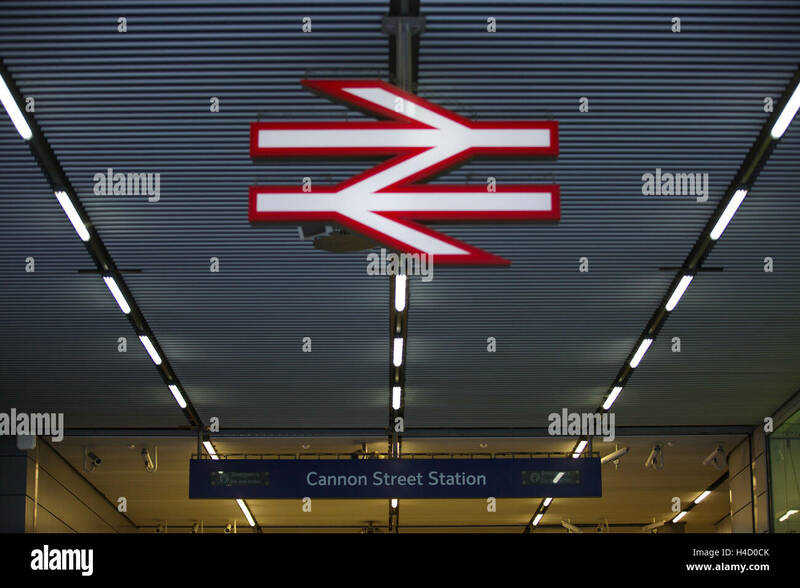 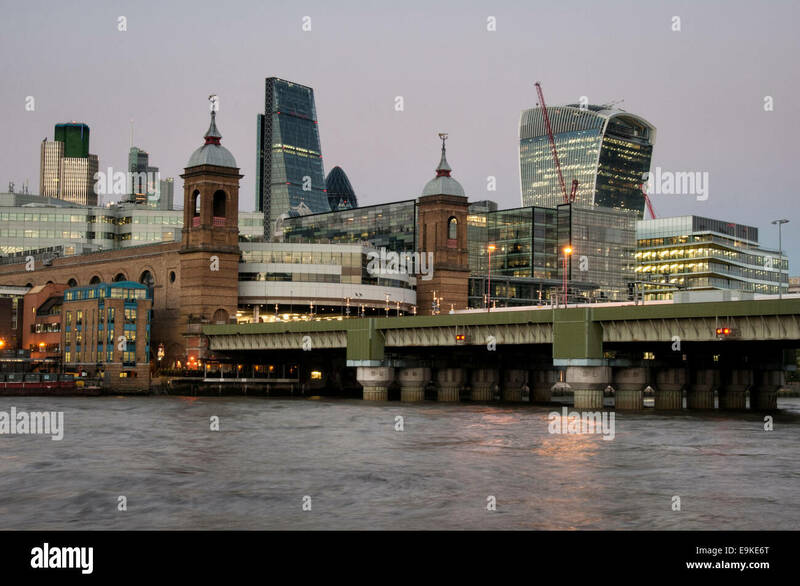 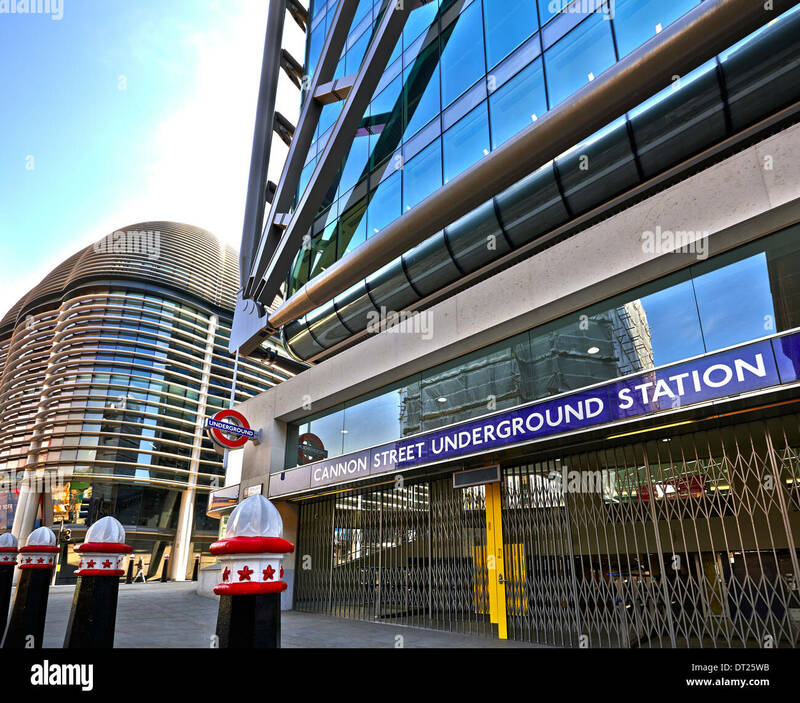 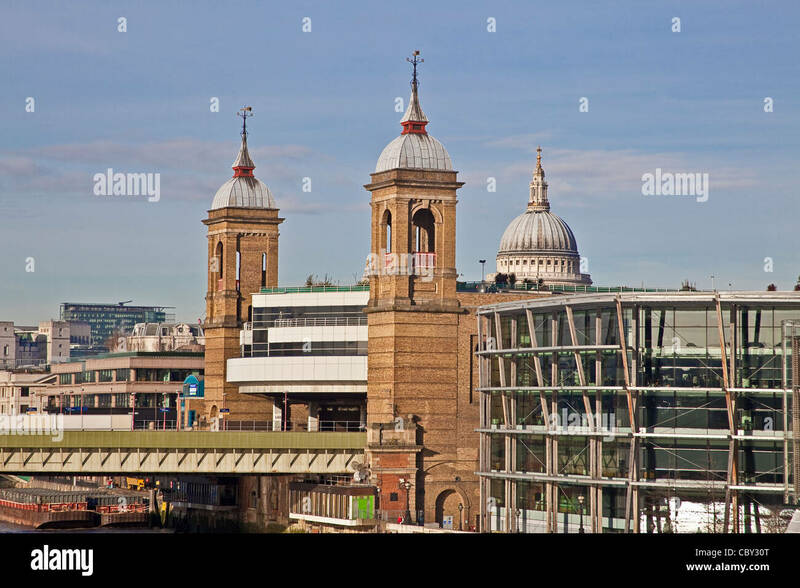 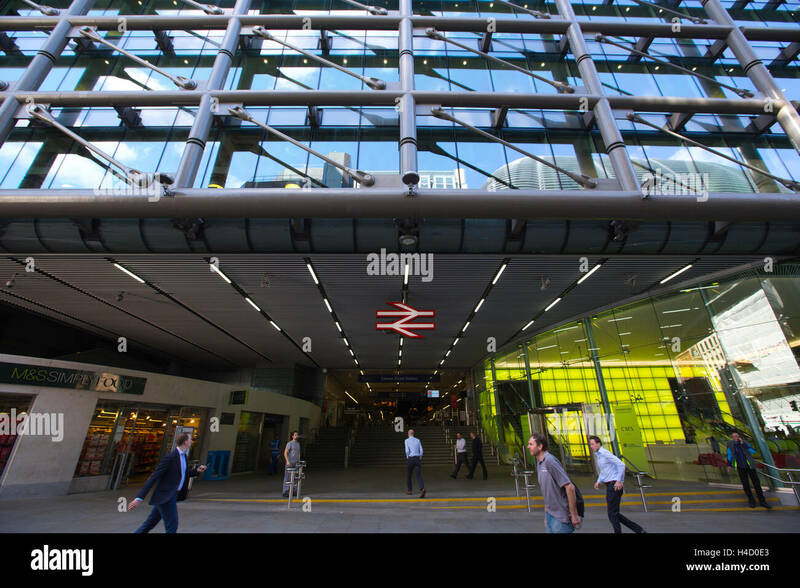 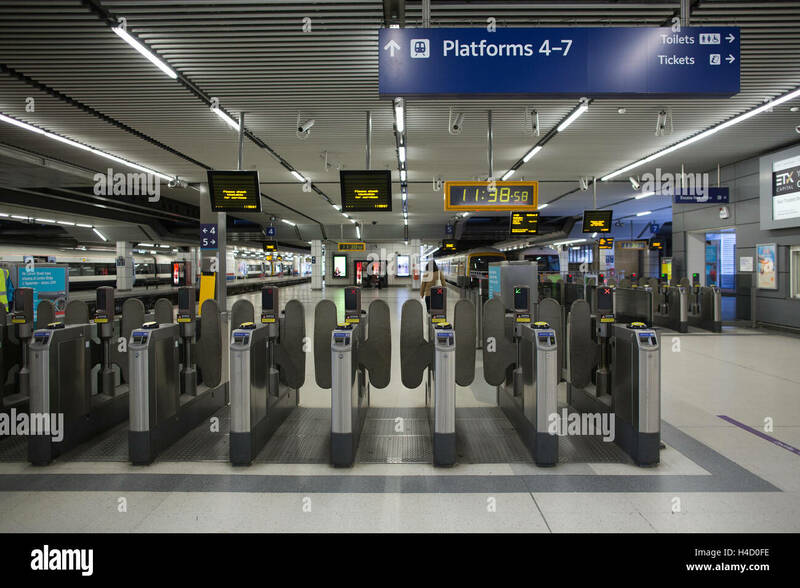 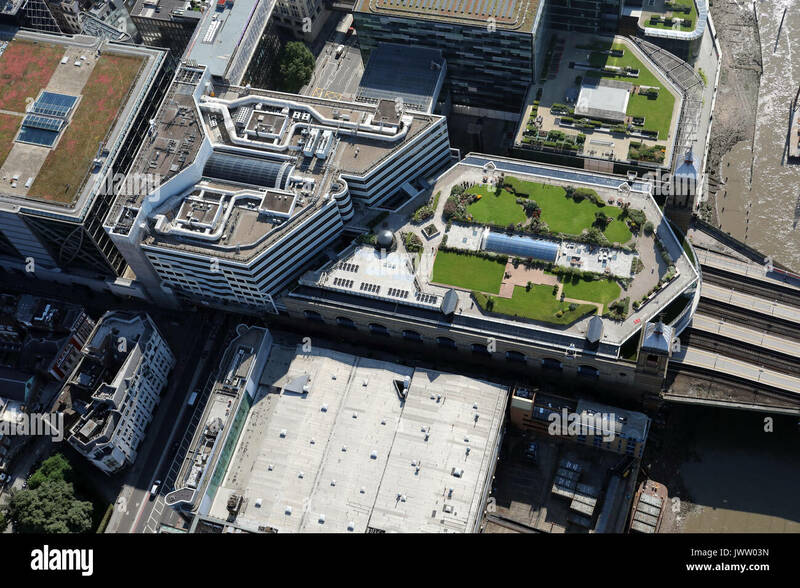 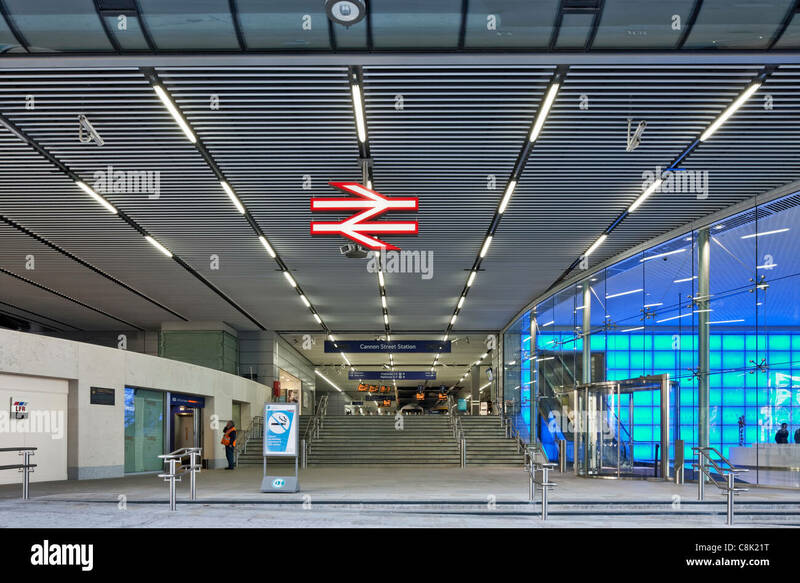 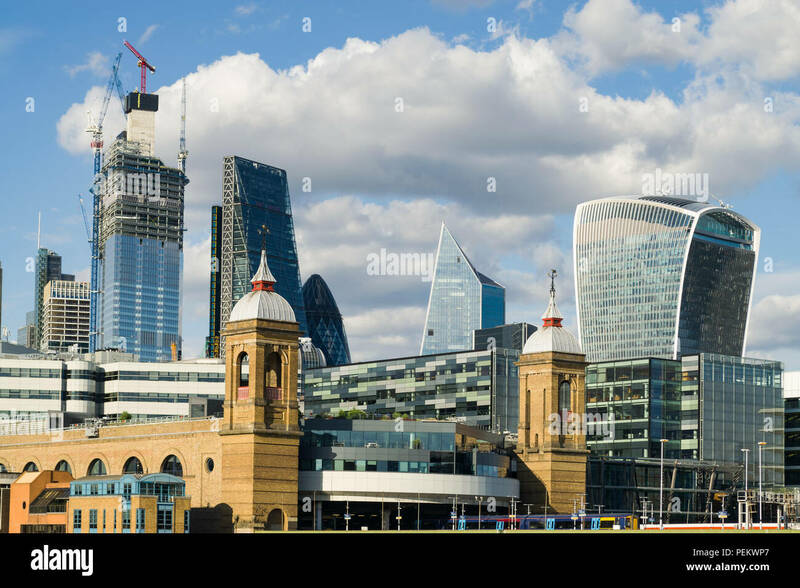 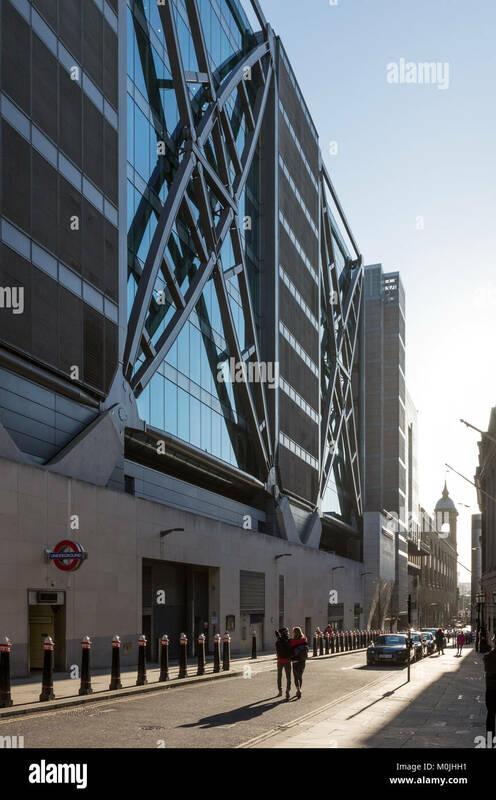 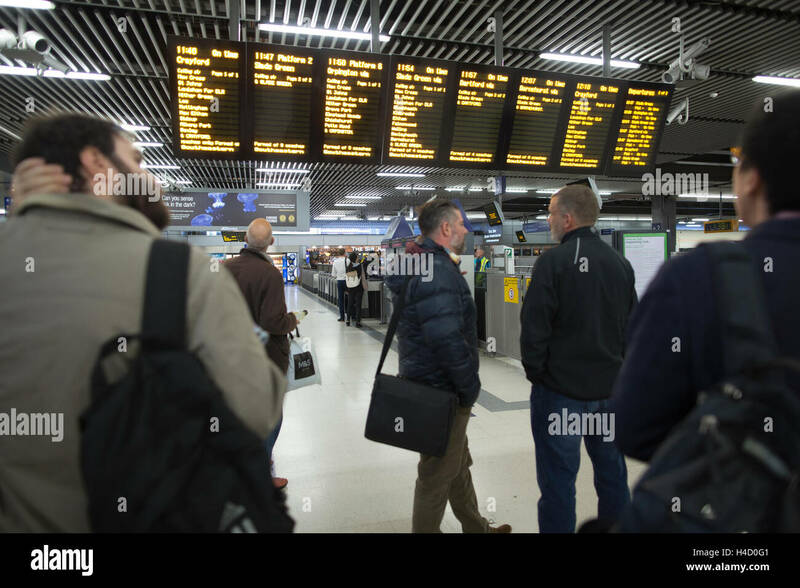 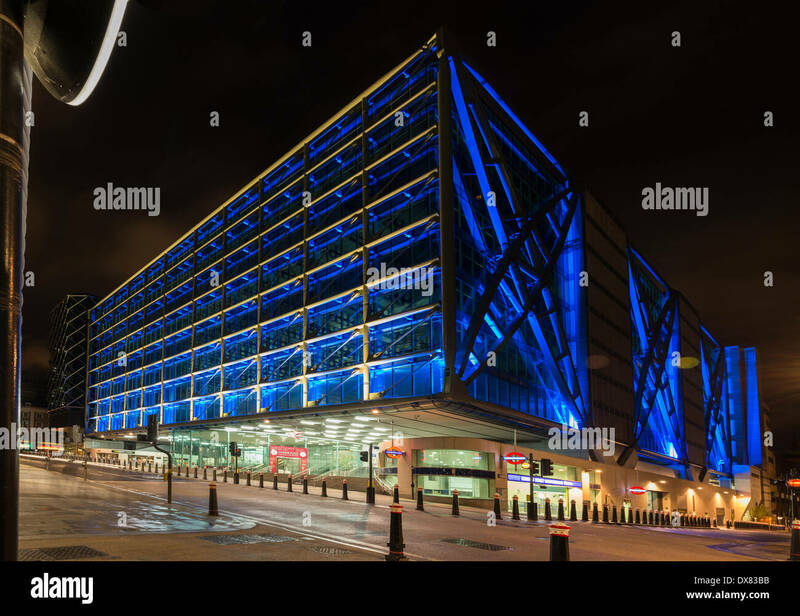 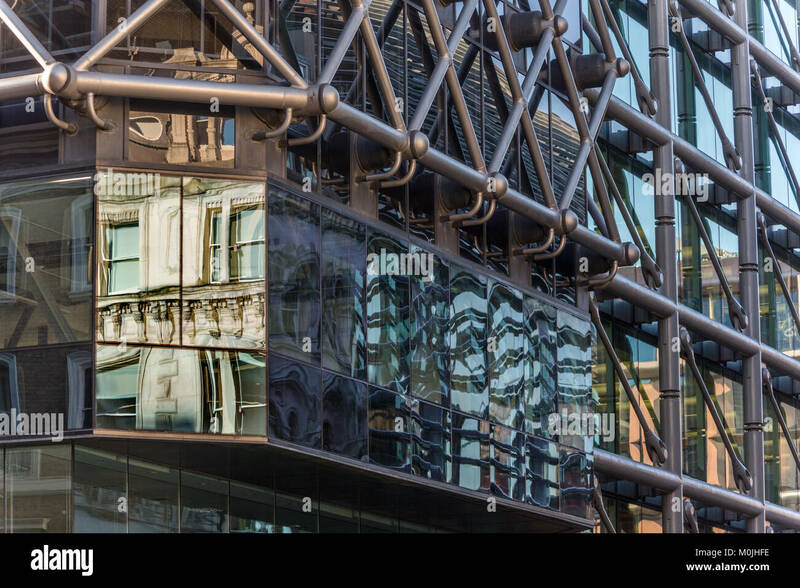 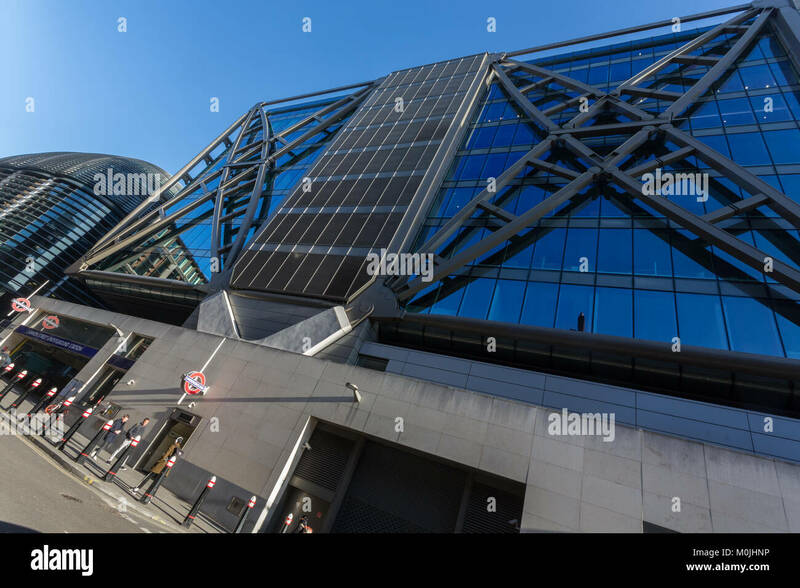 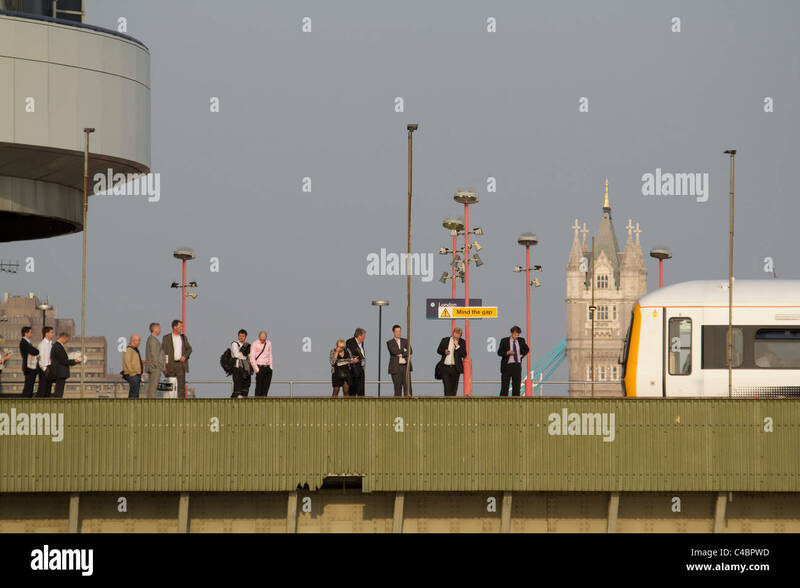 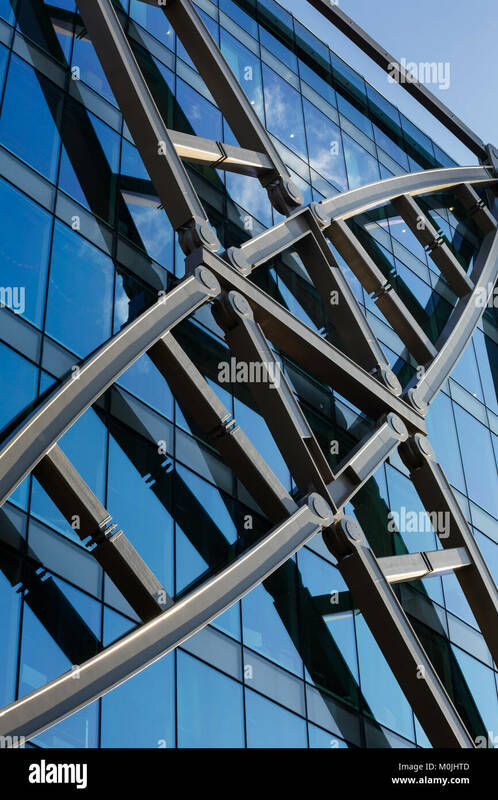 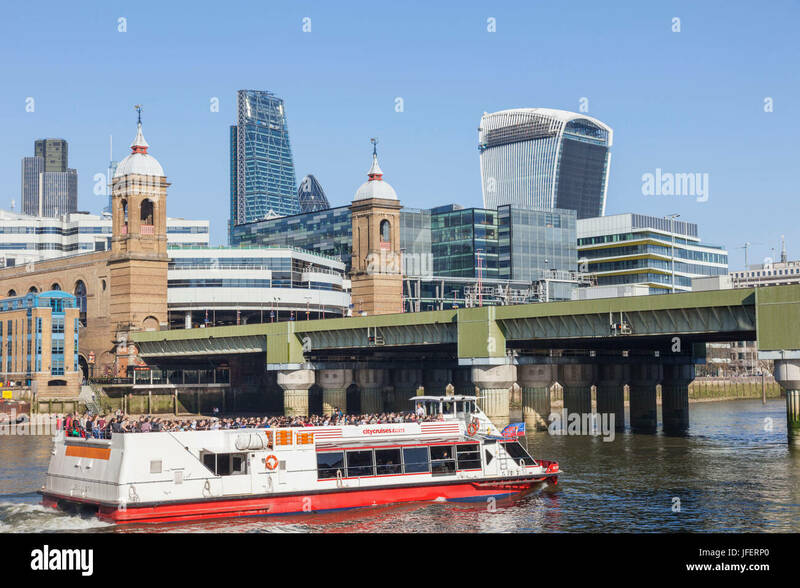 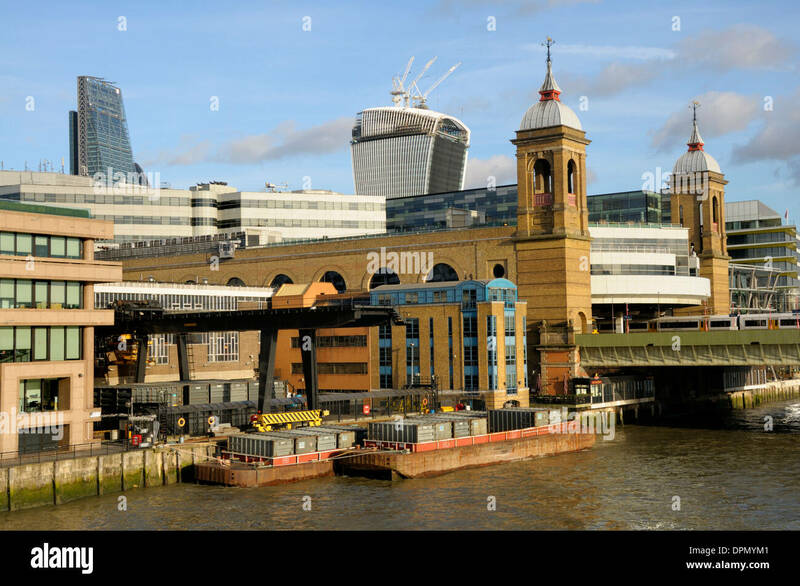 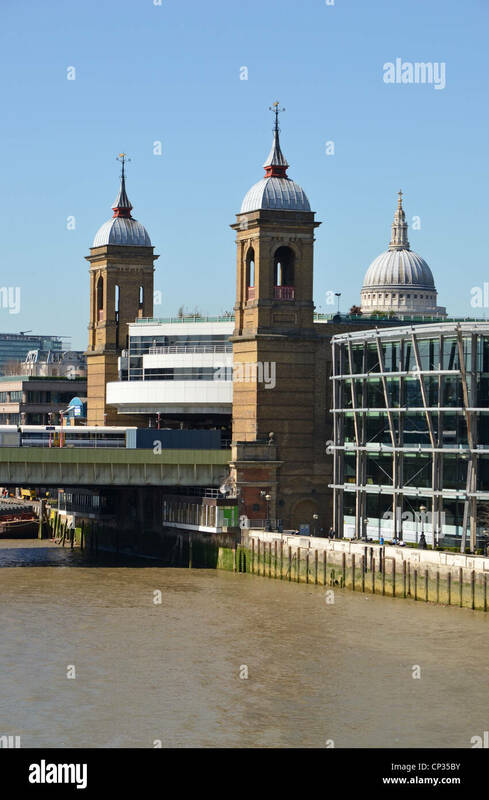 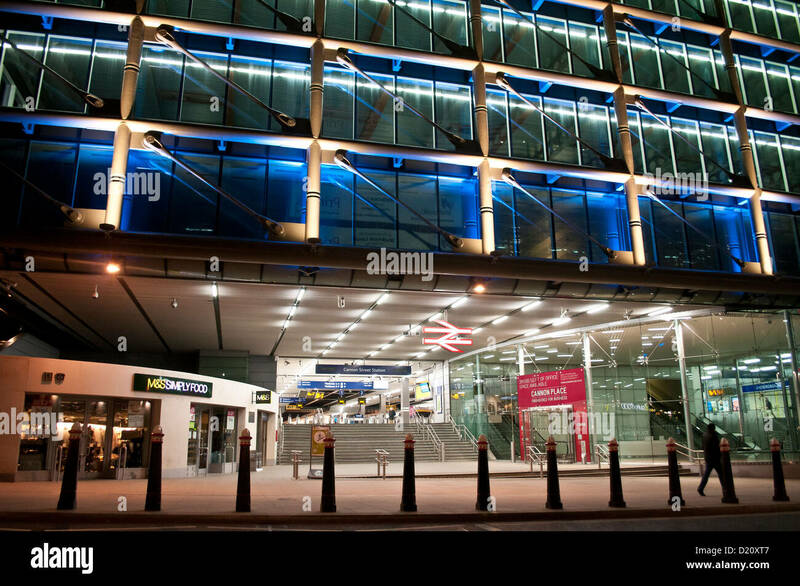 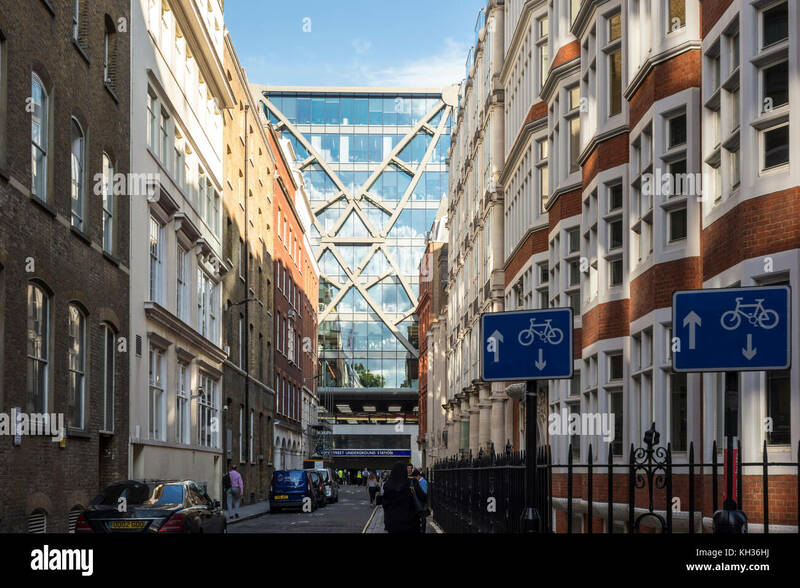 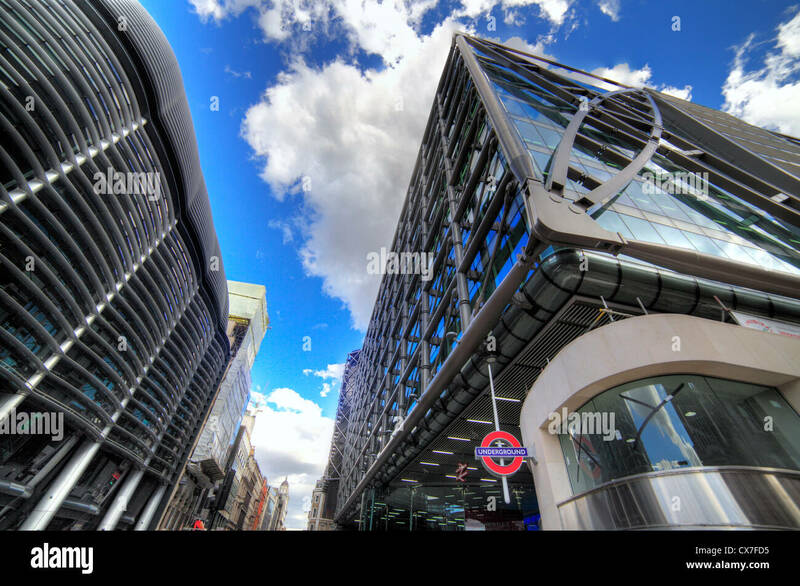 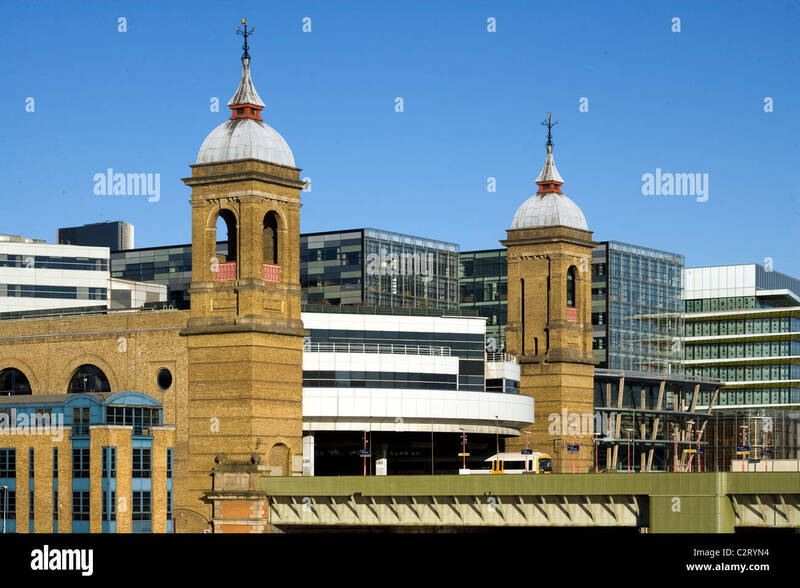 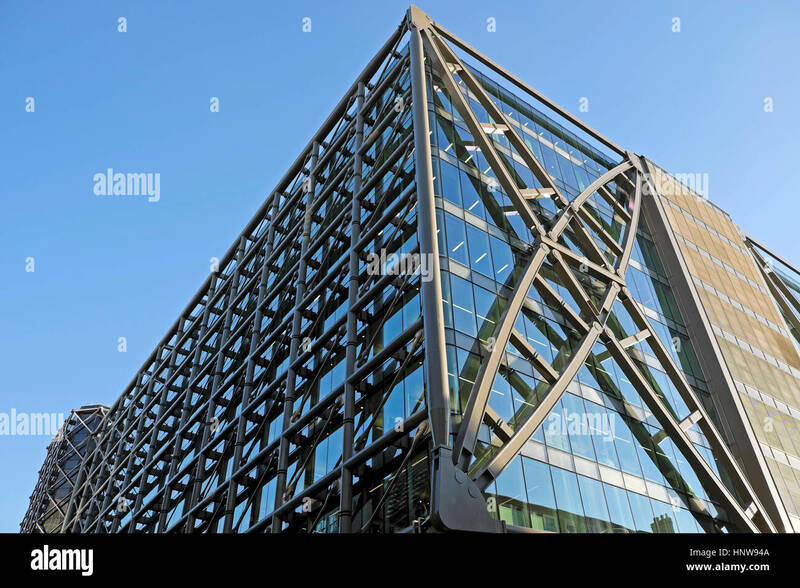 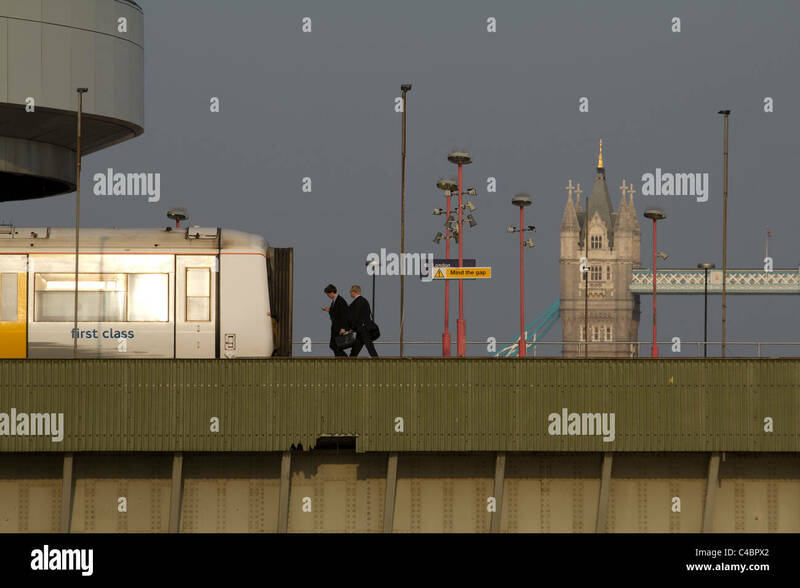 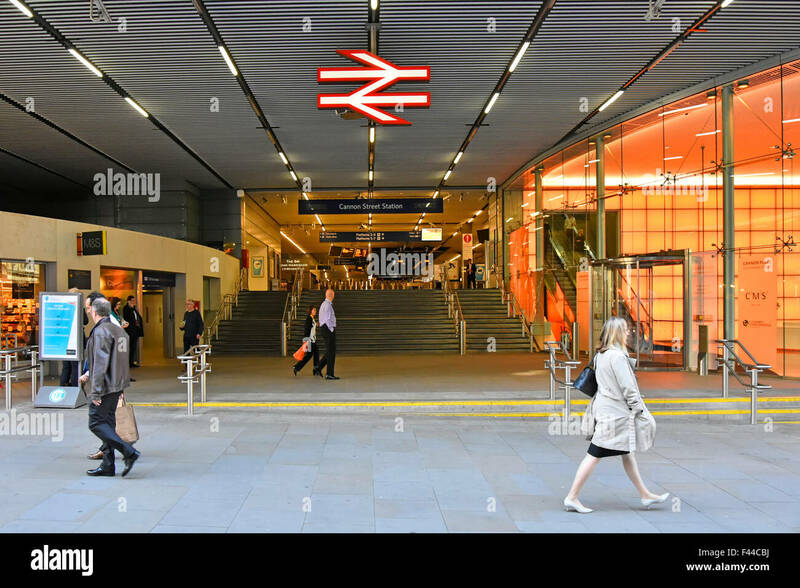 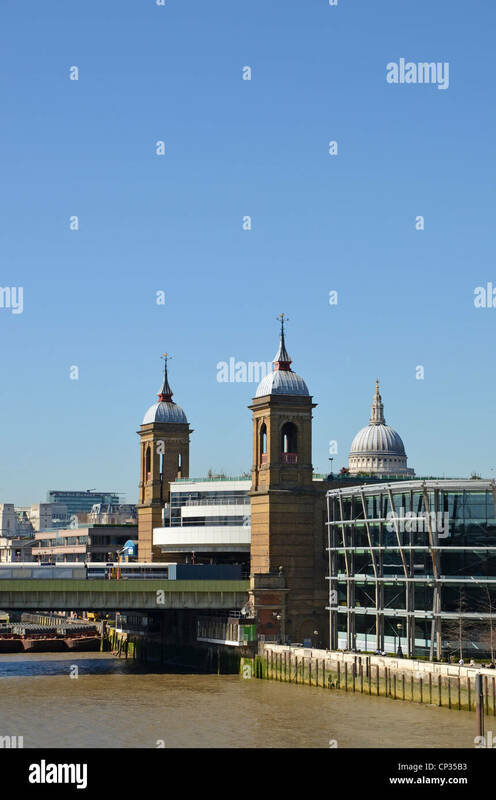 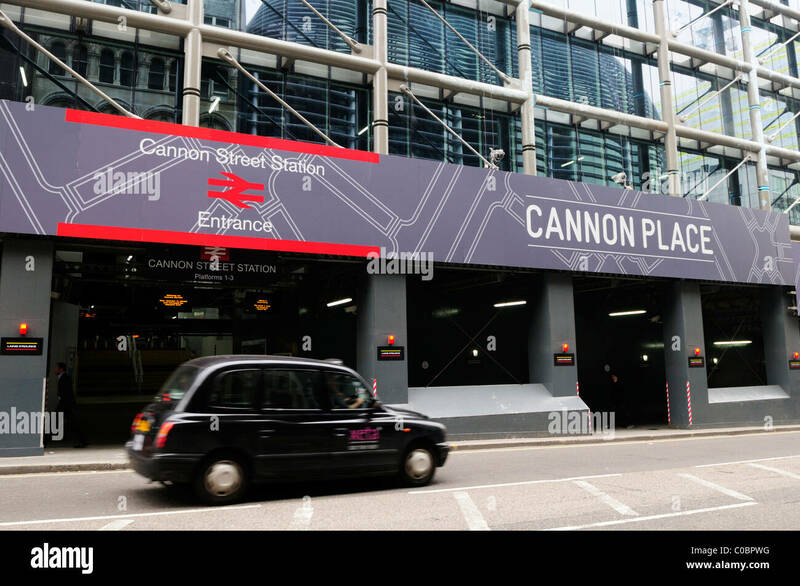 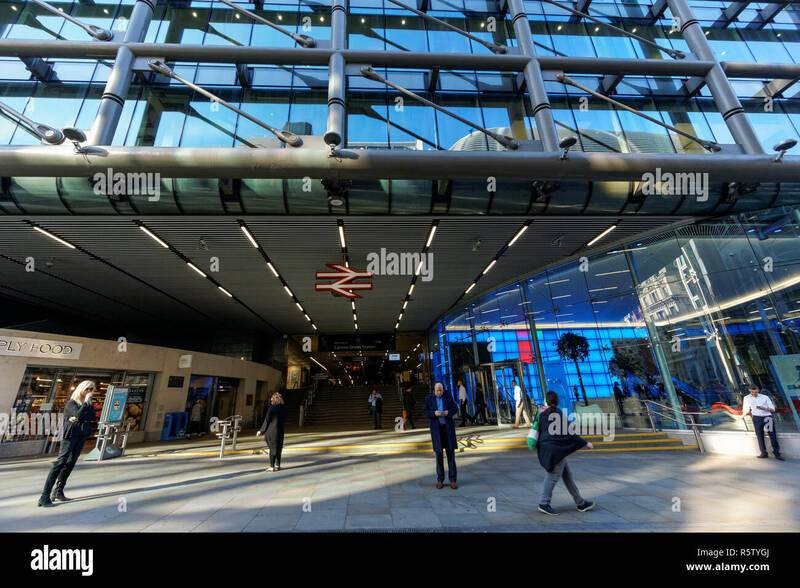 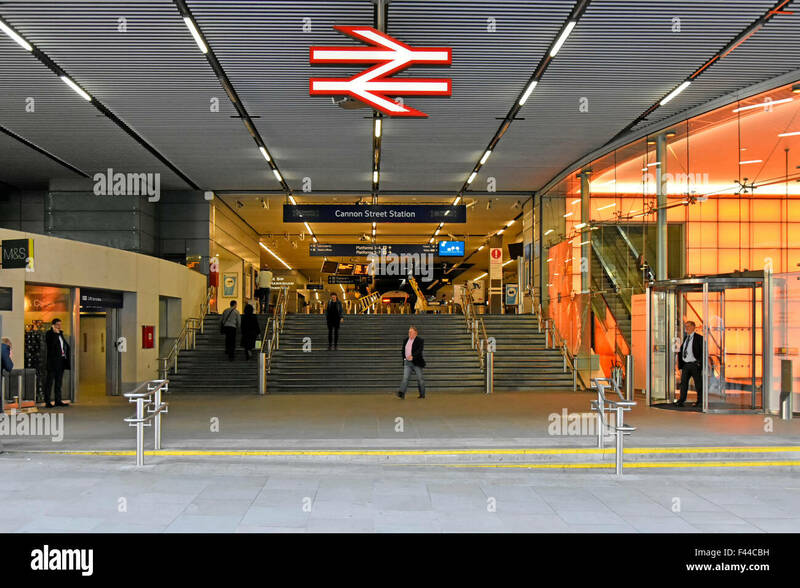 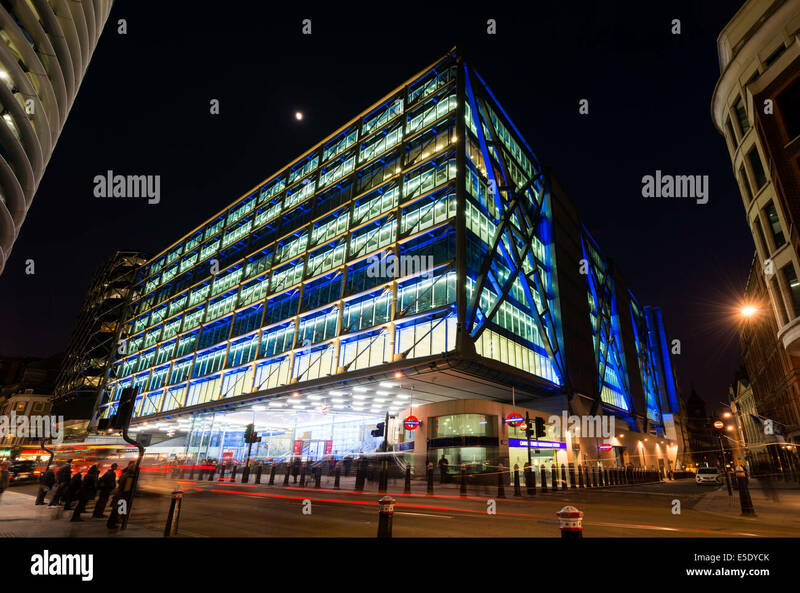 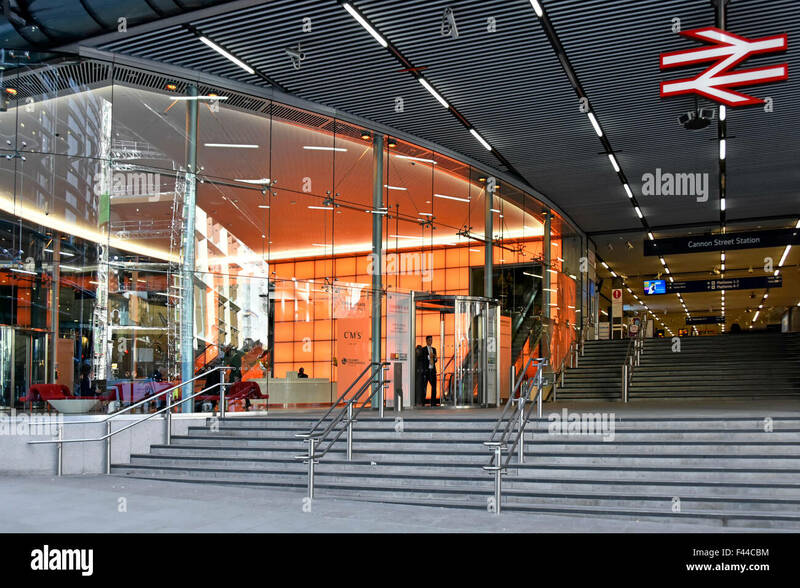 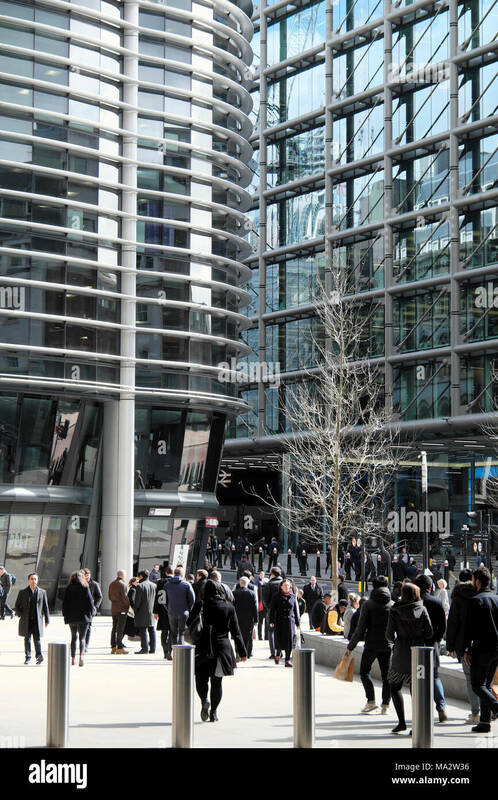 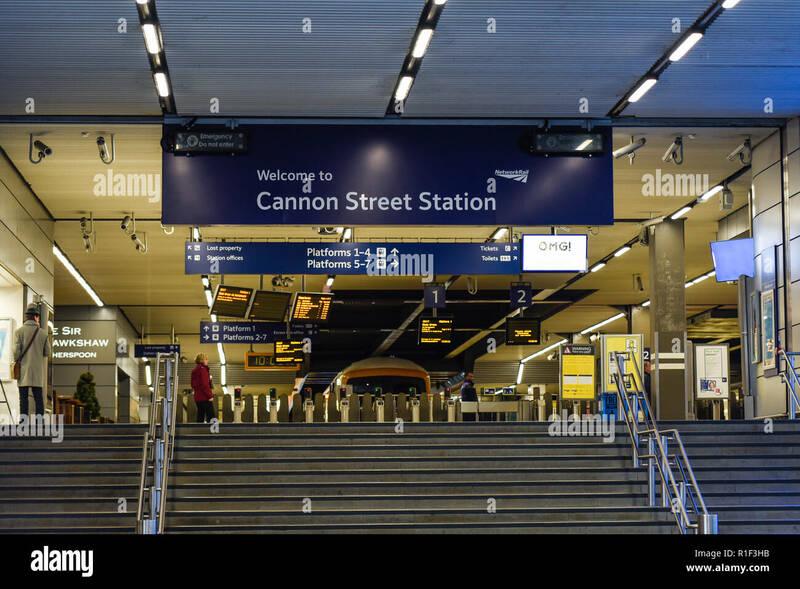 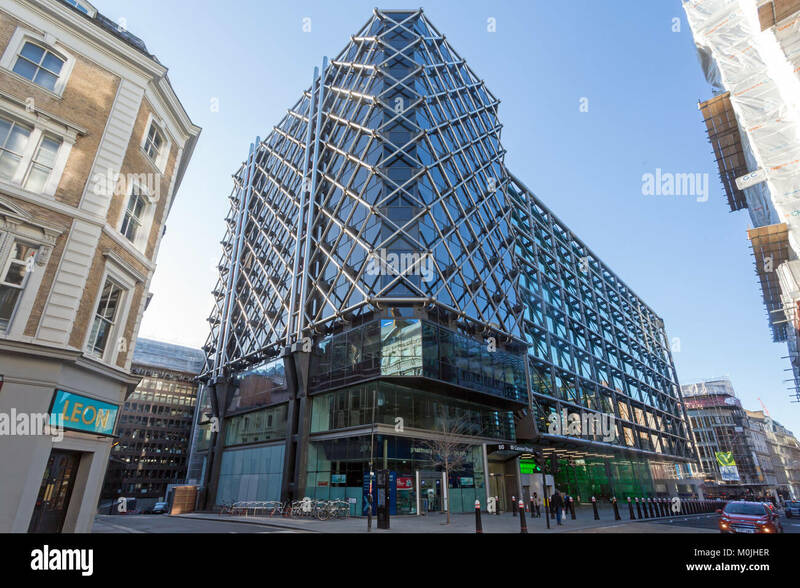 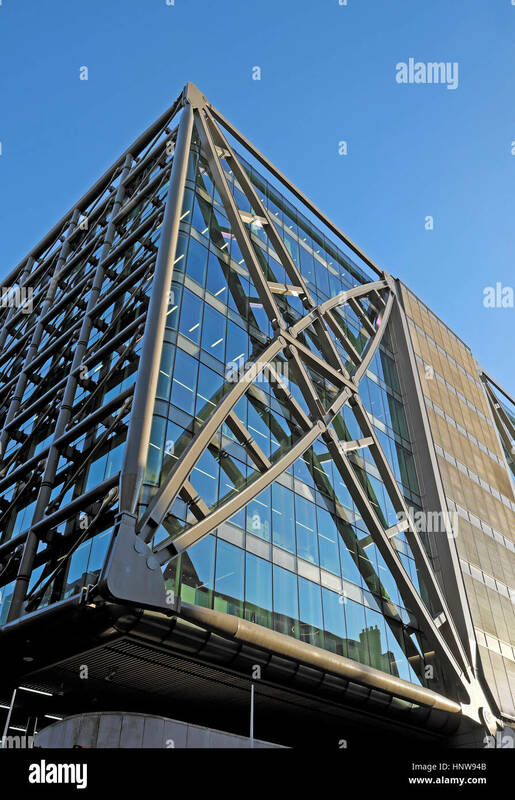 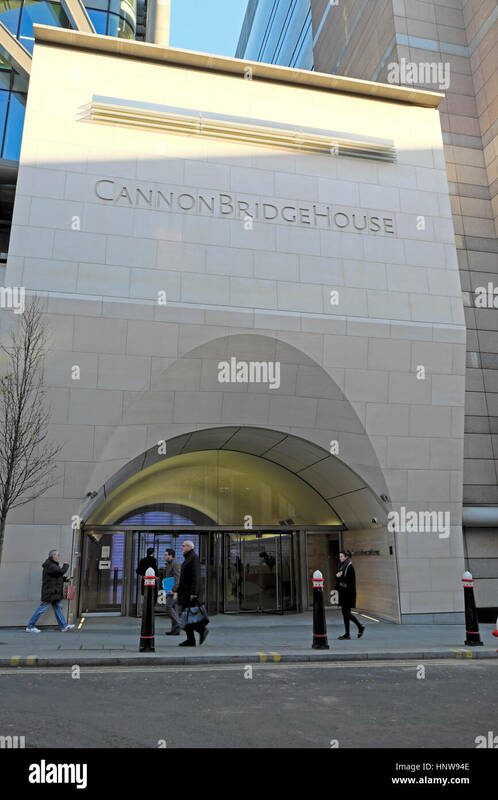 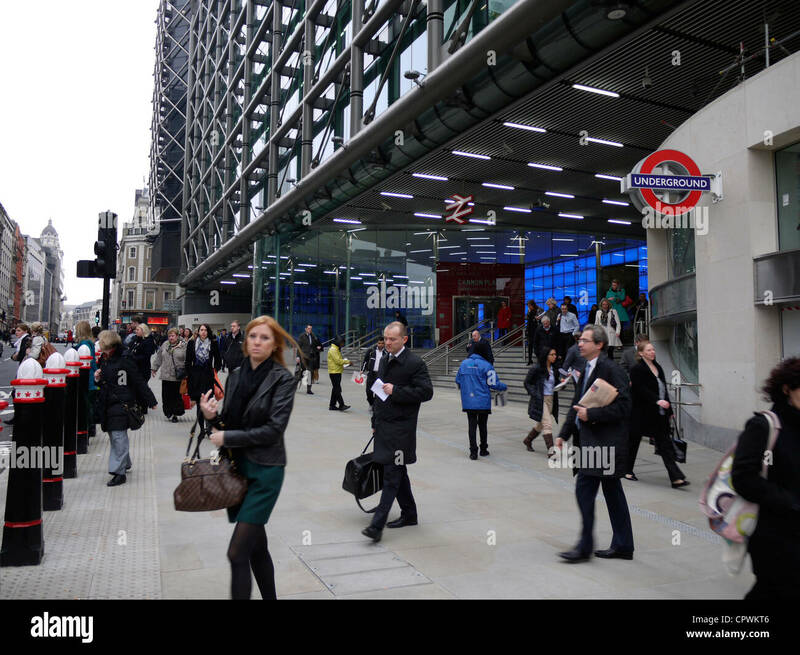 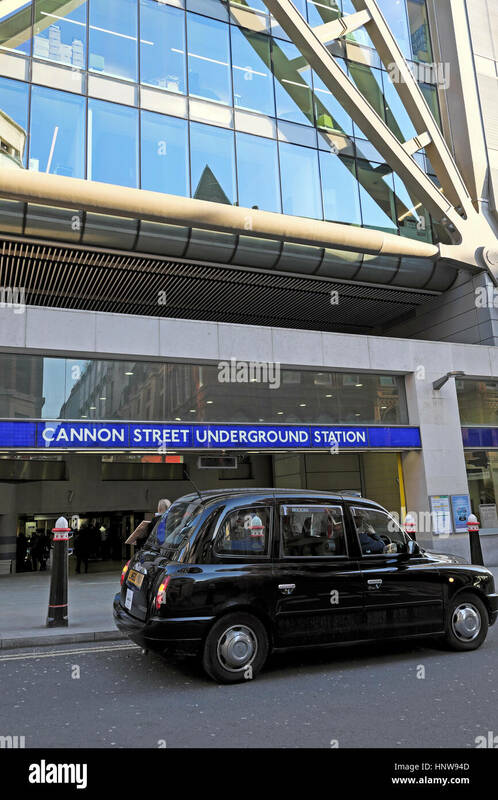 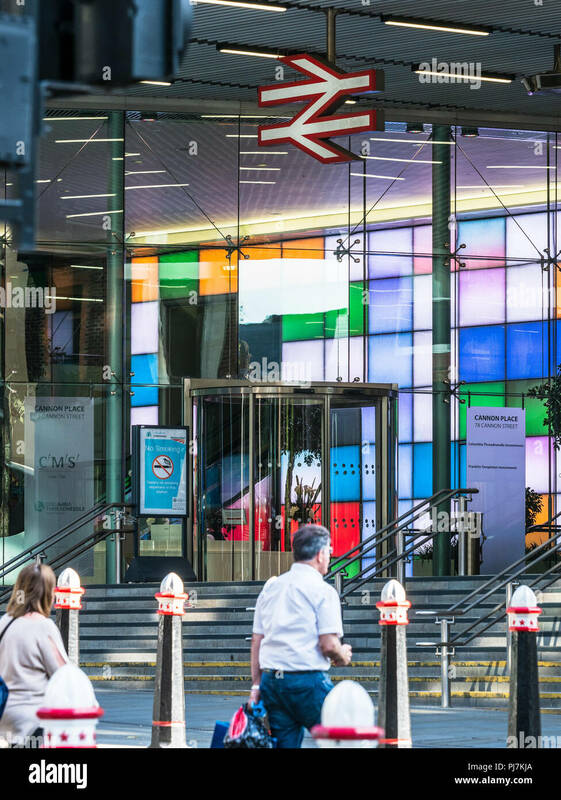 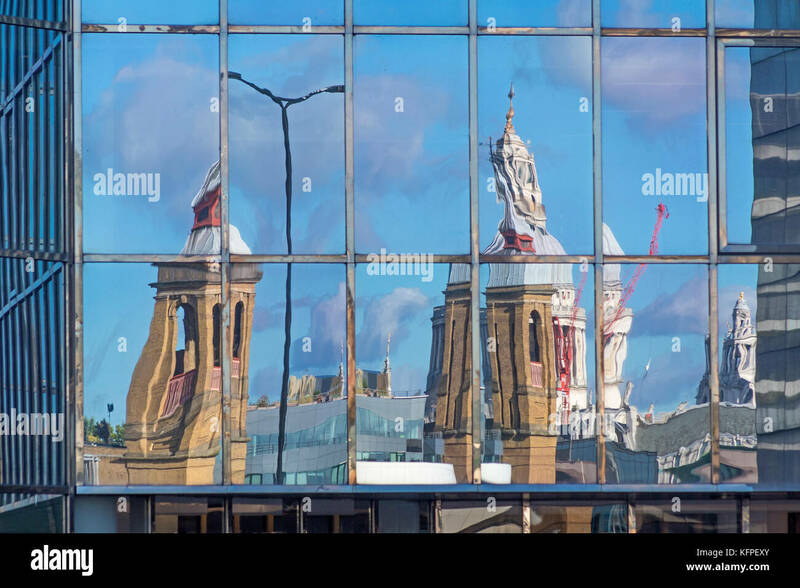 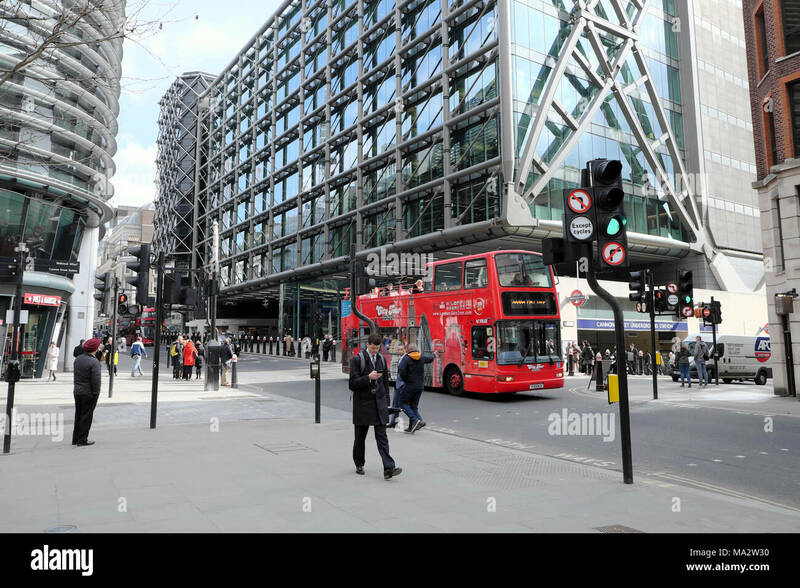 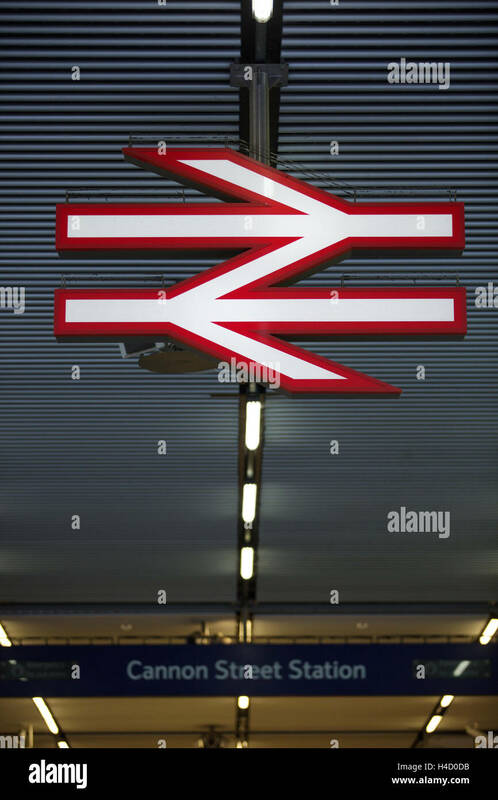 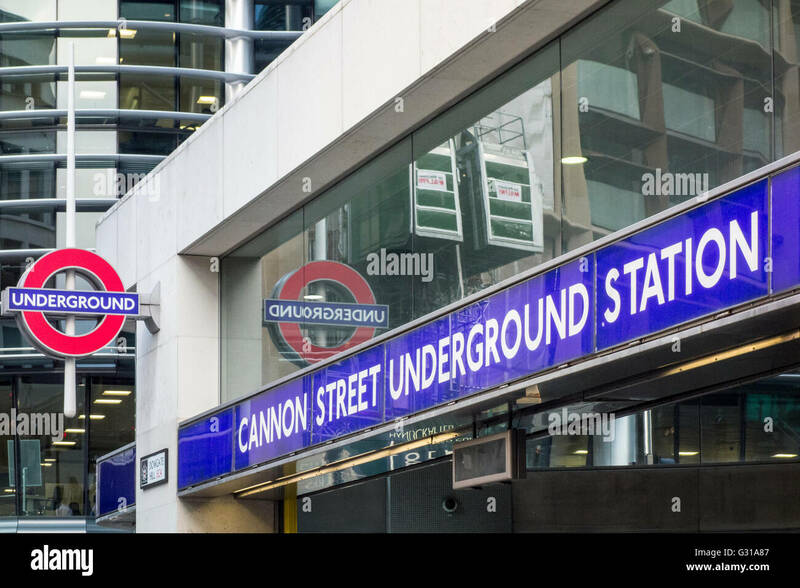 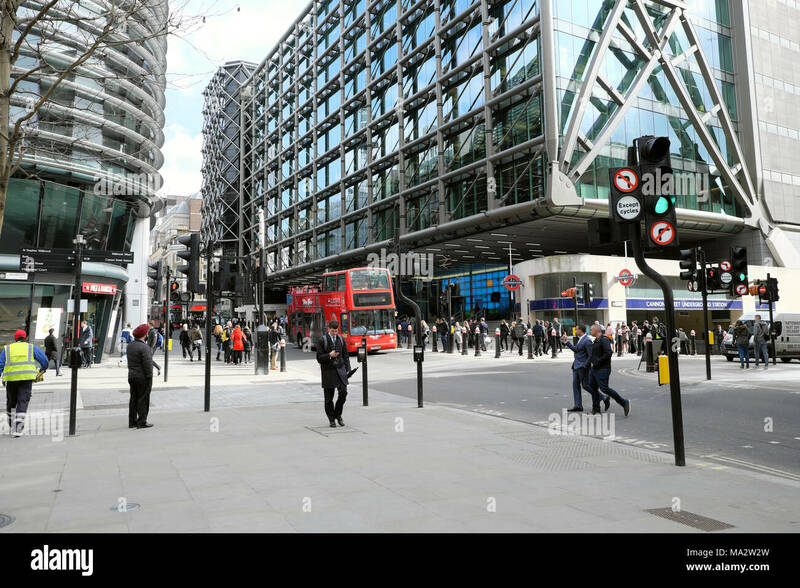 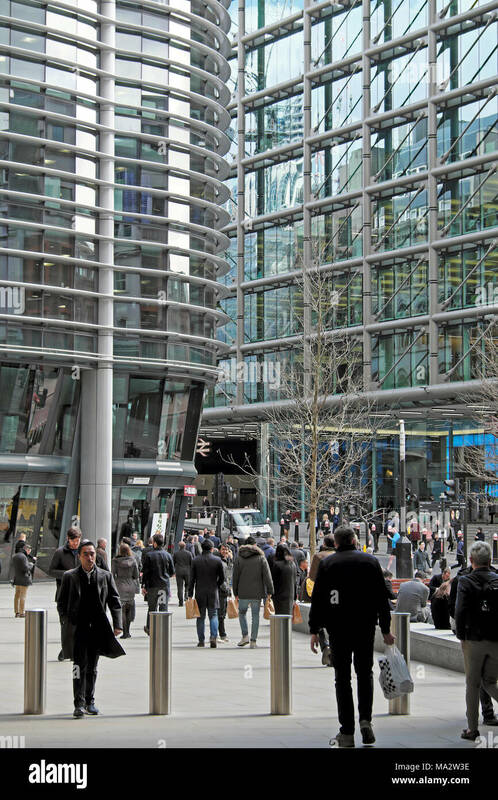 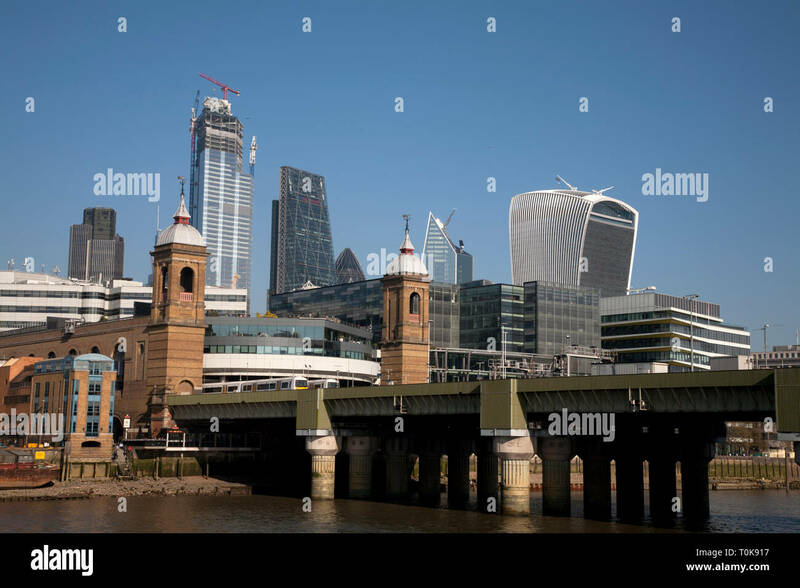 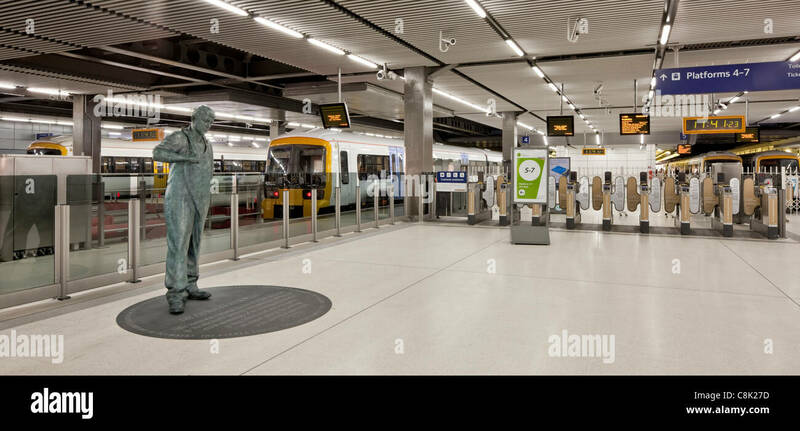 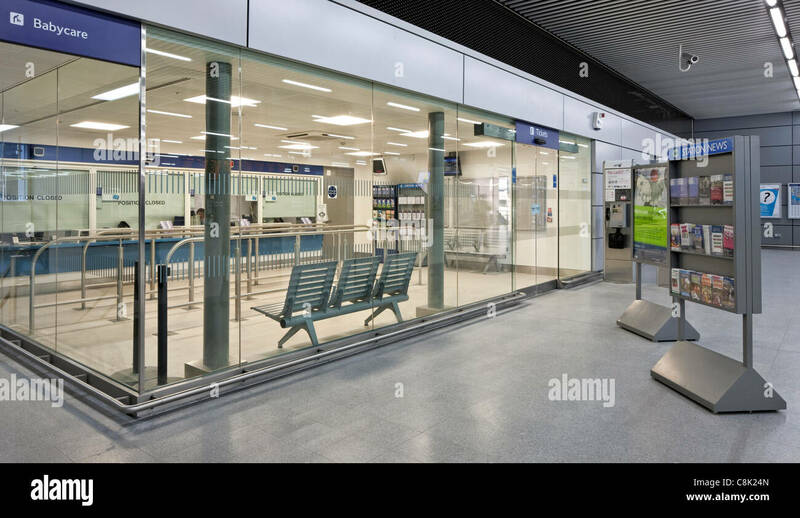 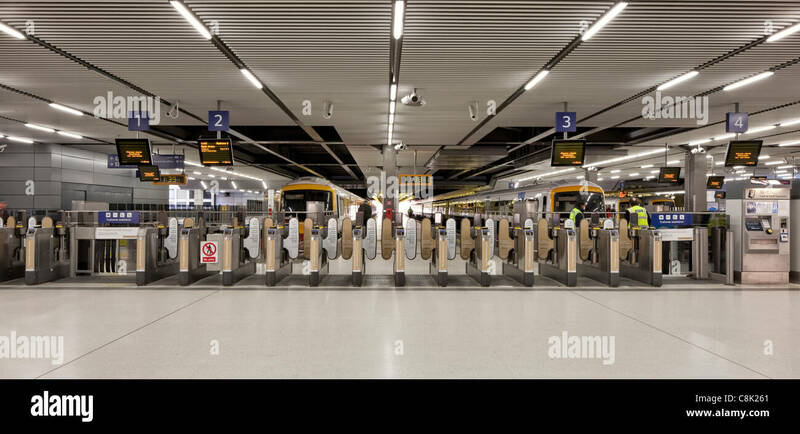 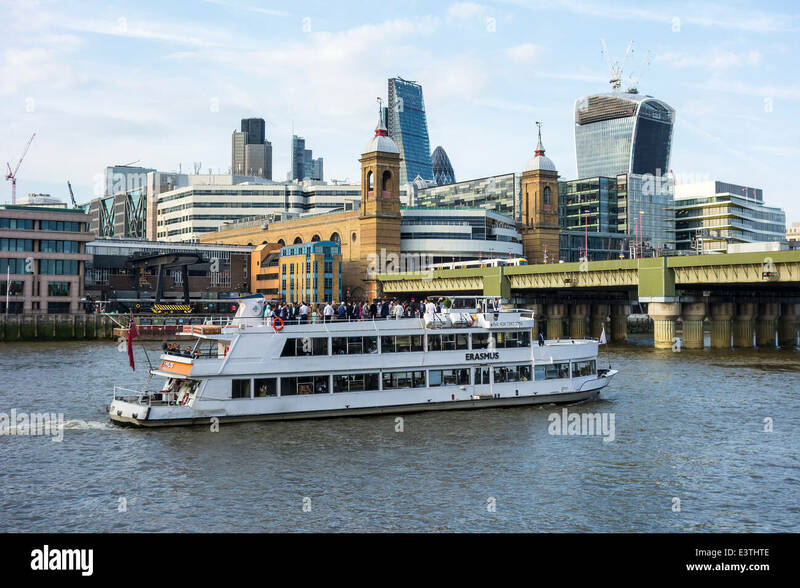 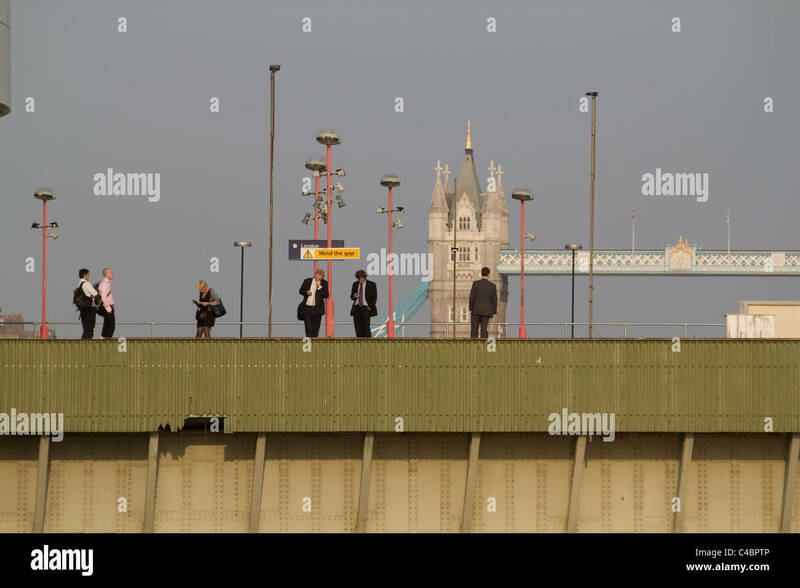 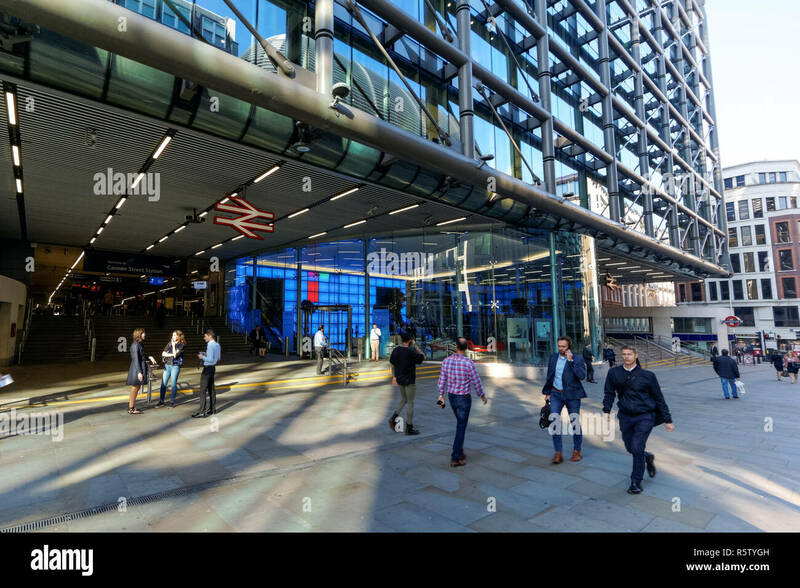 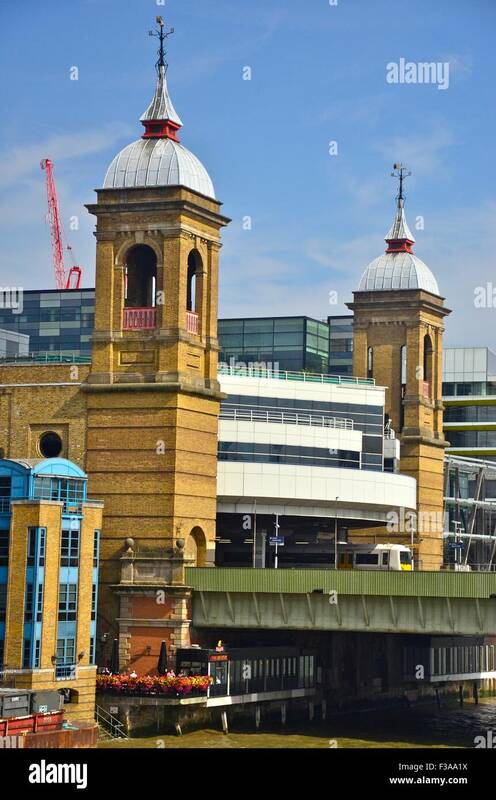 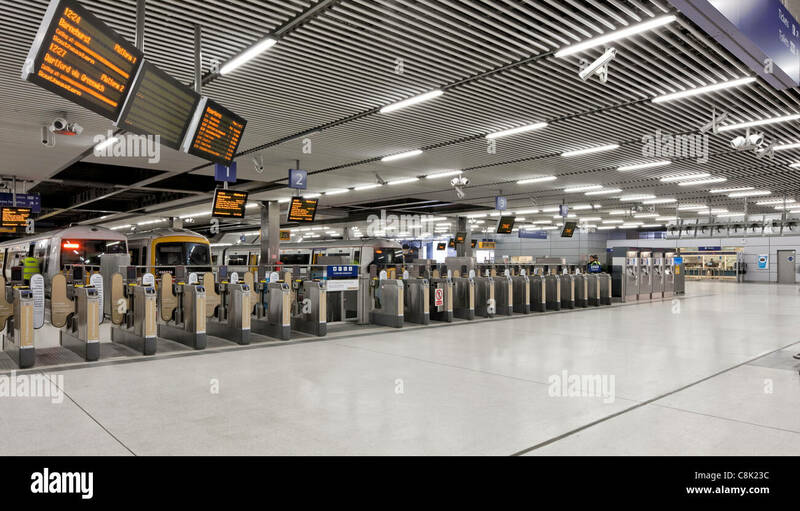 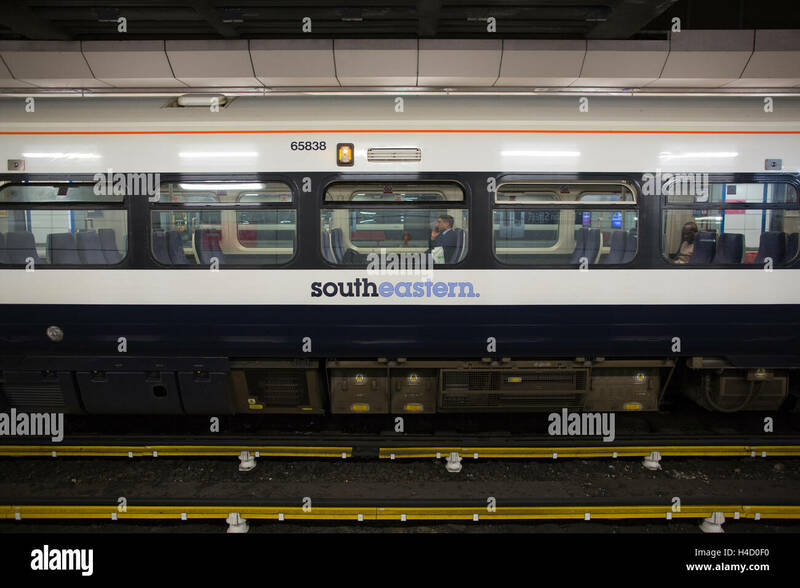 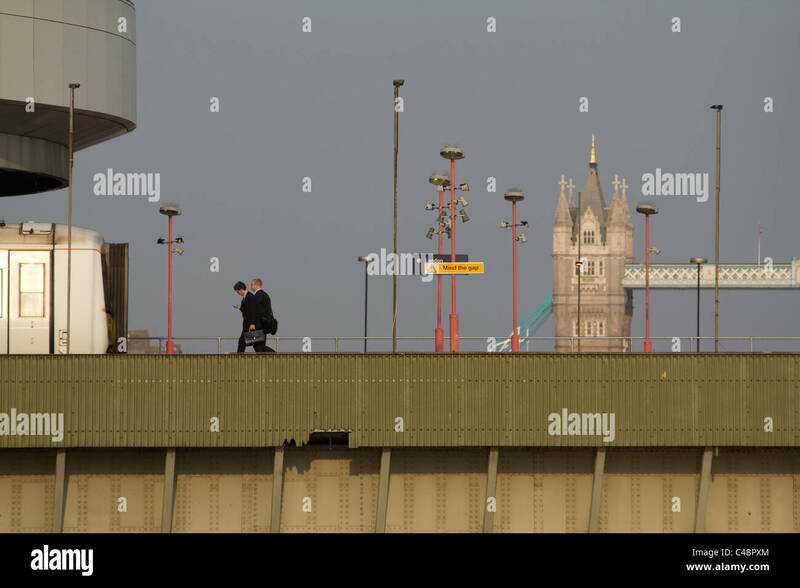 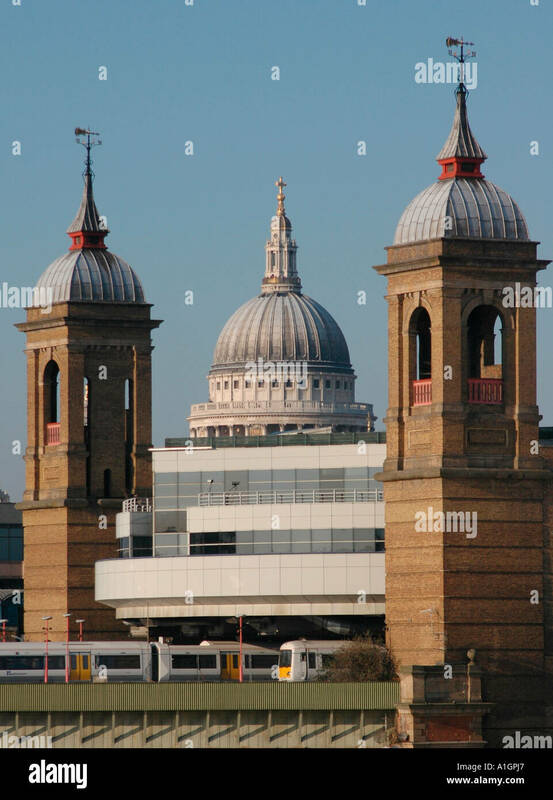 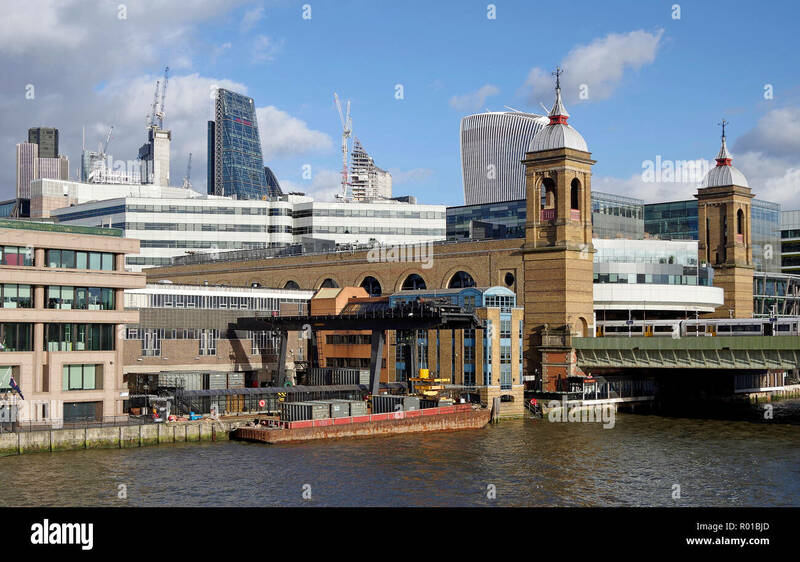 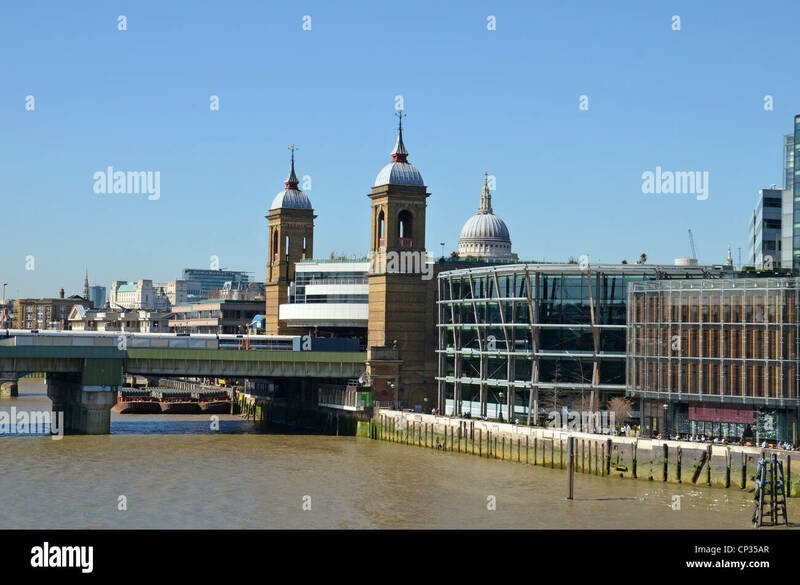 Cannon street station, one of the iconic buildings that line the banks of the river Thames in London, the capital of England.